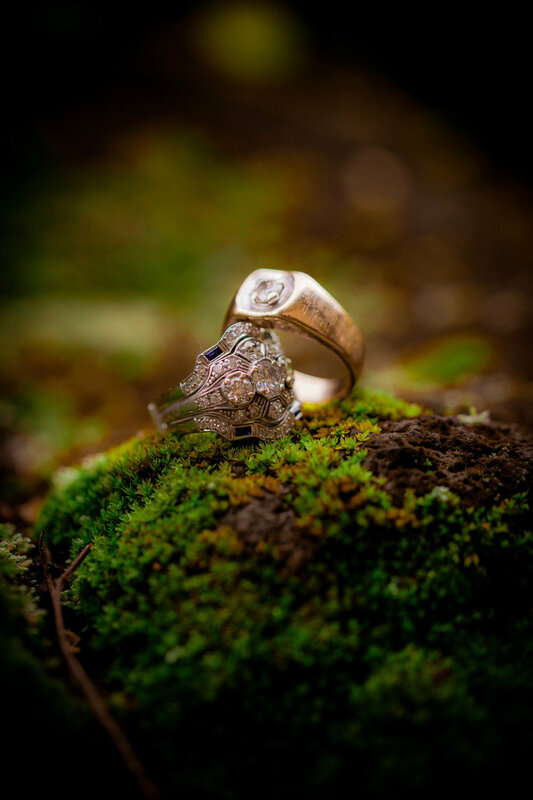 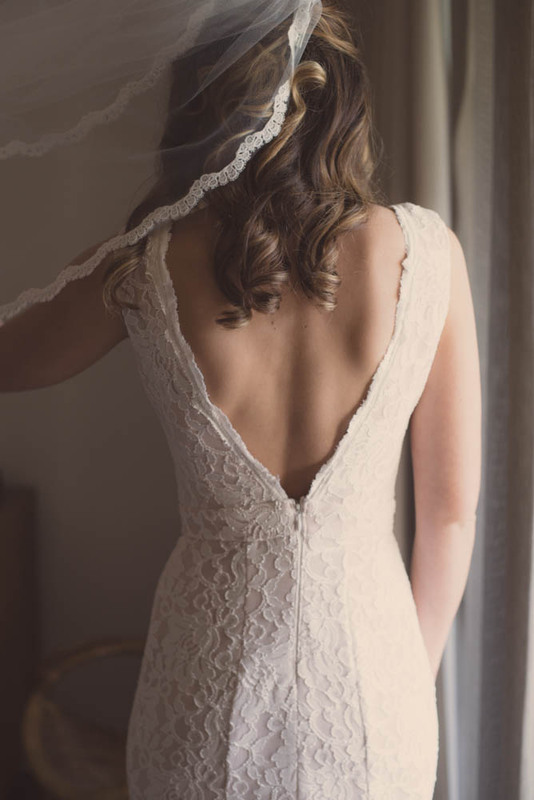 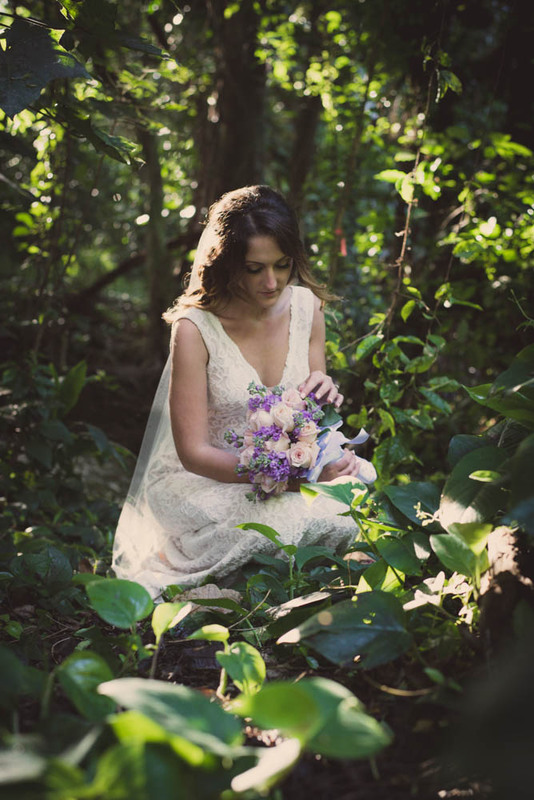 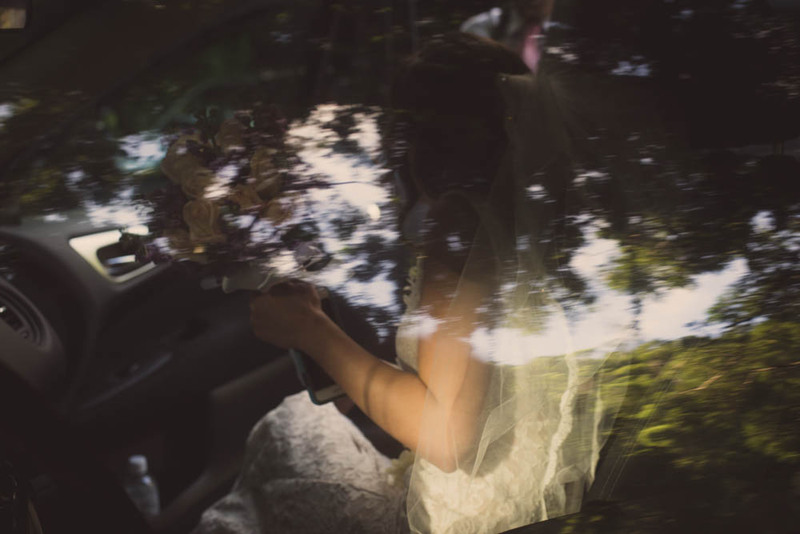 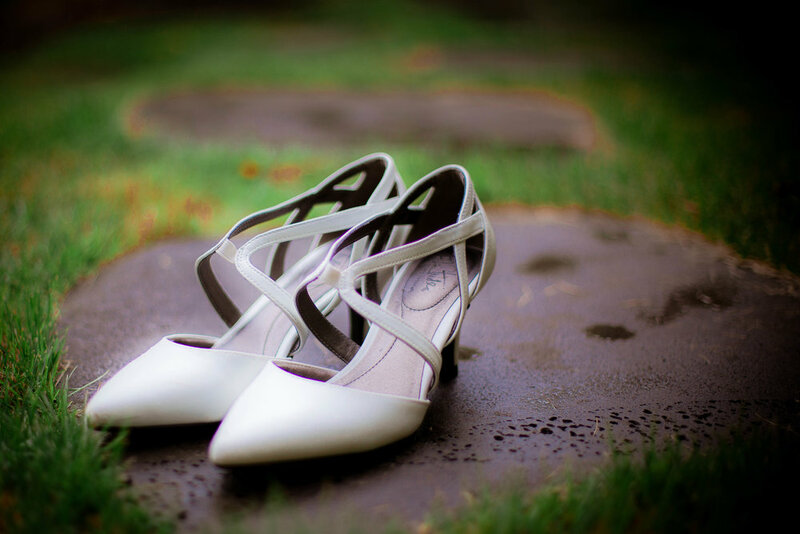 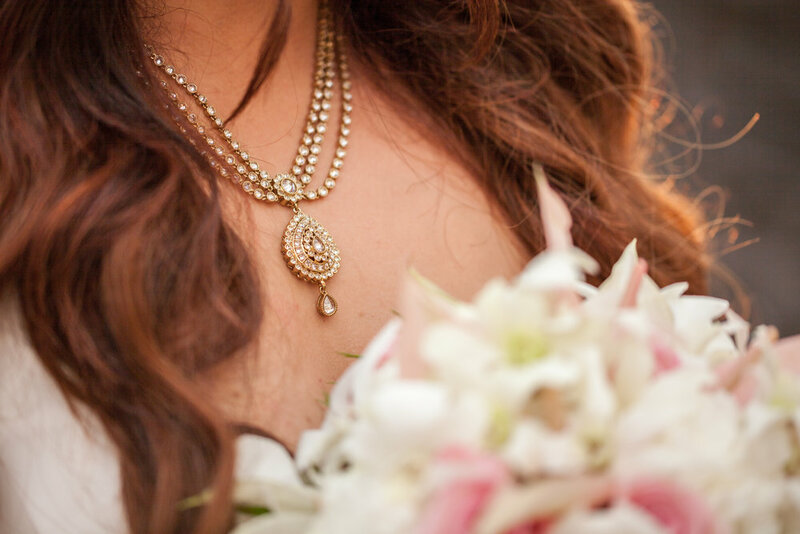 Here’s a sneak peek from the day…and to see more beautiful work from this day and many others, check out SaraKauss.com! 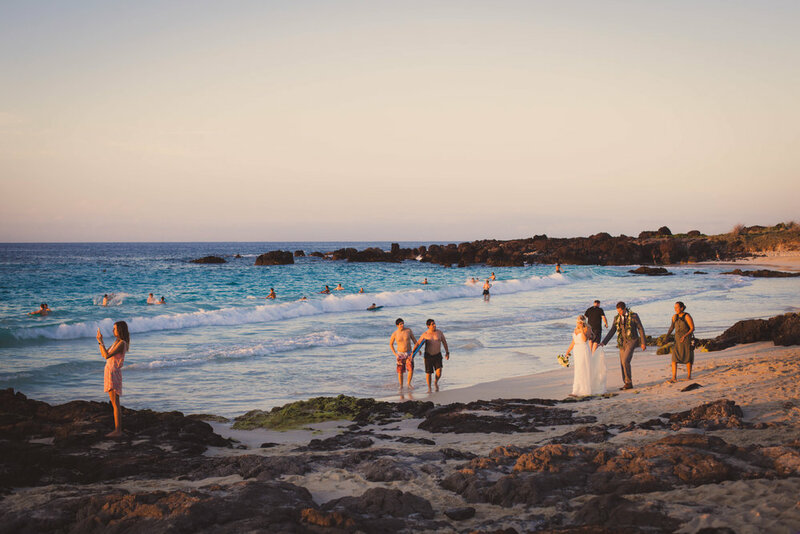 Manini'owali Beach (Kua Bay) is a section of Kekahakai State Beach Park. 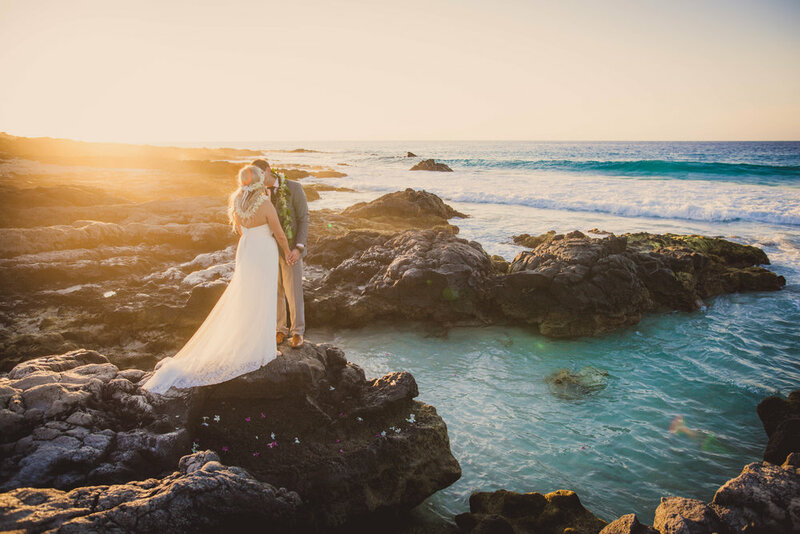 It's the single most beautiful beach closest to Kailua-Kona that you can get to without having to travel on an unpaved road over lava. 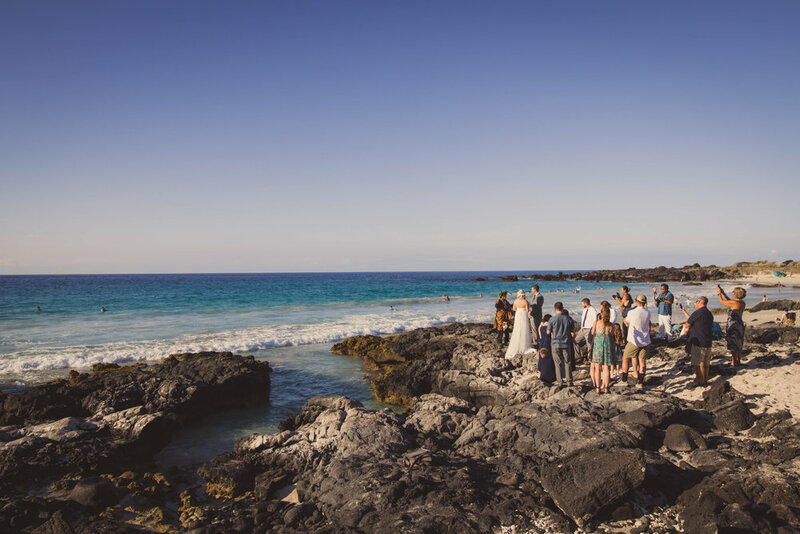 While not a typical wedding beach /as it gets crowded with not only tourists but local beachgoers/ this bay has the spectacularly turquoise blue water that everyone craves to see. 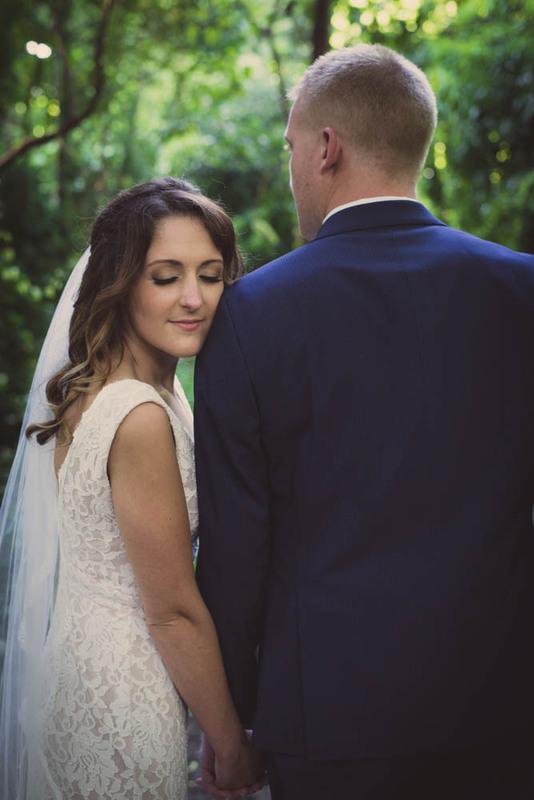 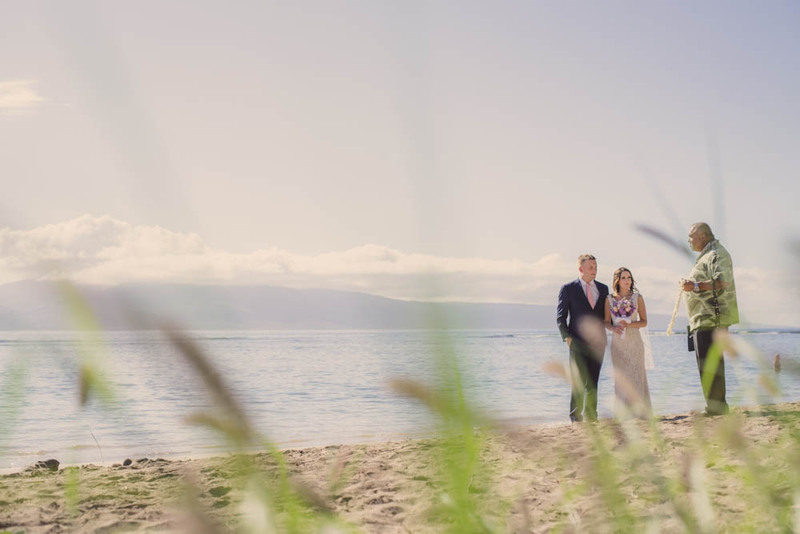 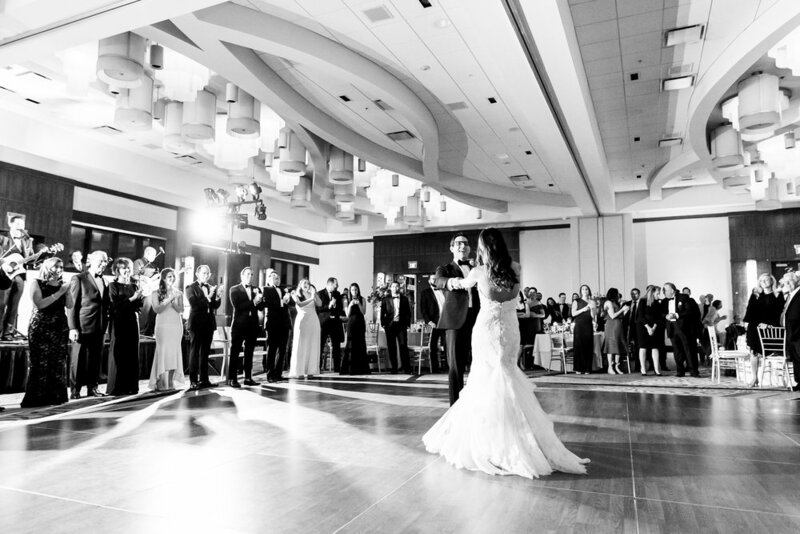 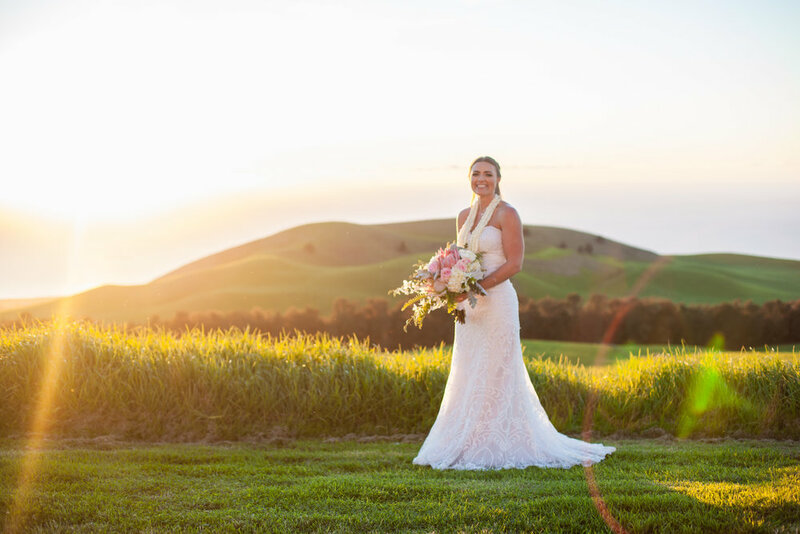 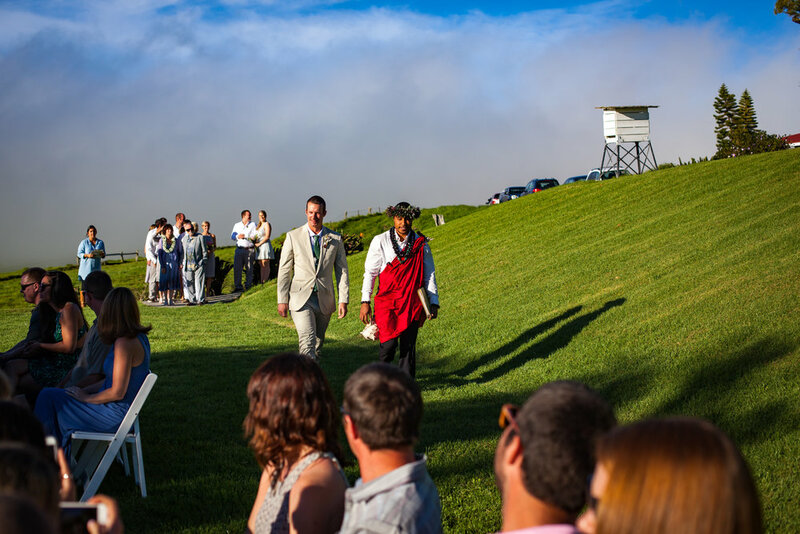 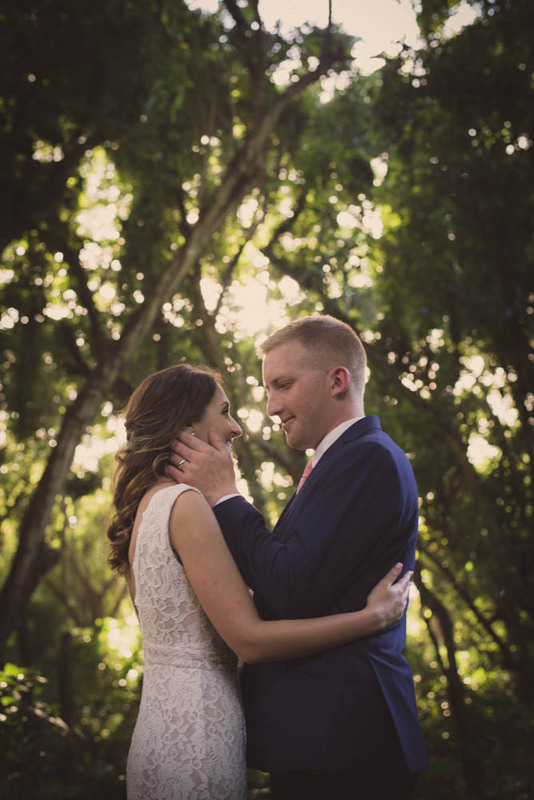 Miranda + Hunter weren't deterred....and while they may have had a few more witnesses than was on their guest list, it was a perfectly beautiful day. 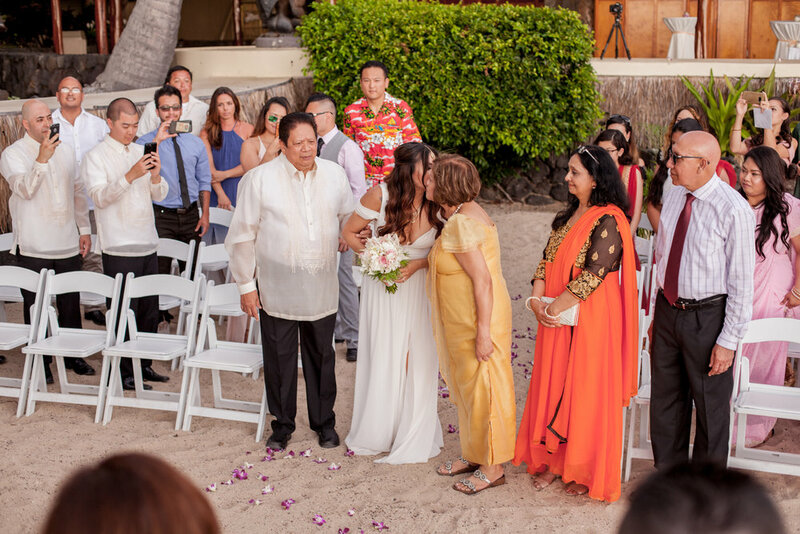 Thanks to the coordinators at Big Island Boutique Weddings, and to Reverend Robert (Kuya) Alamodin for the wonderful ceremony! 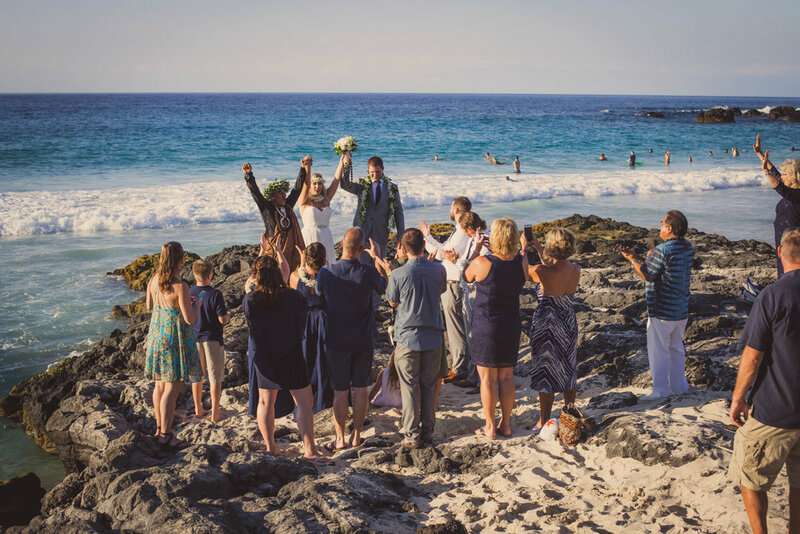 The Big Island of Hawai'i offers 10 of the world's 13 climate zones, giving so much more to offer than just another beautiful beach. 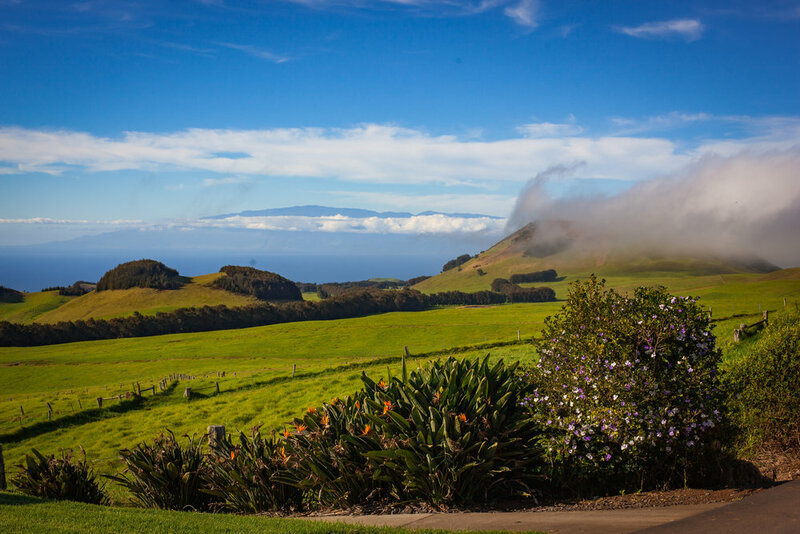 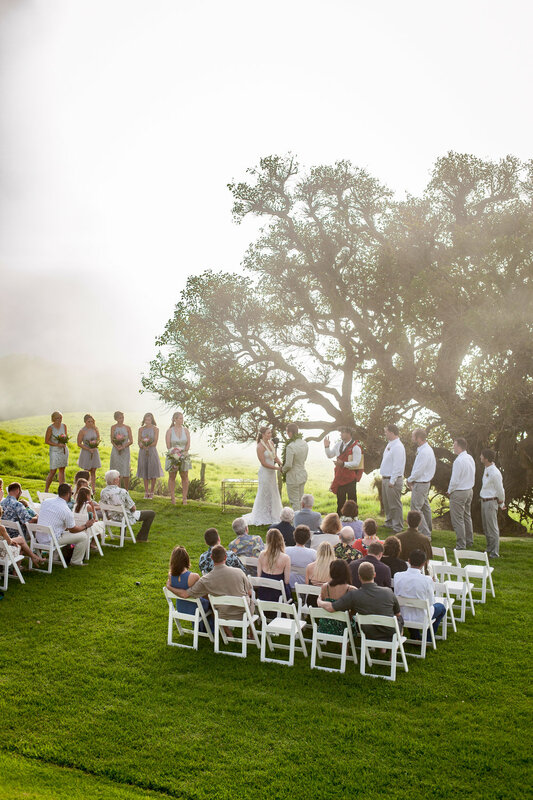 Kahua Ranch sits on the Kohala mountain range at about 3200 feet above sea level, giving it a fantastic view of the ocean and sunset! 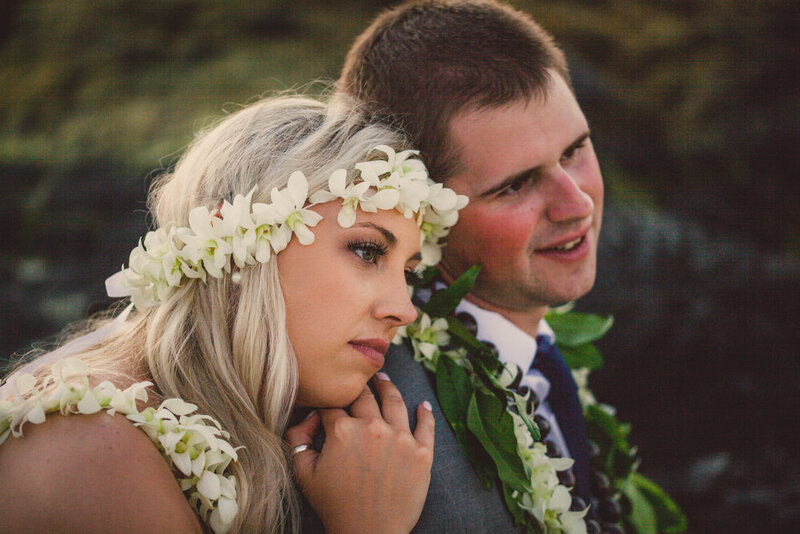 Being from Alaska, Katie + Kole can handle a little chill. 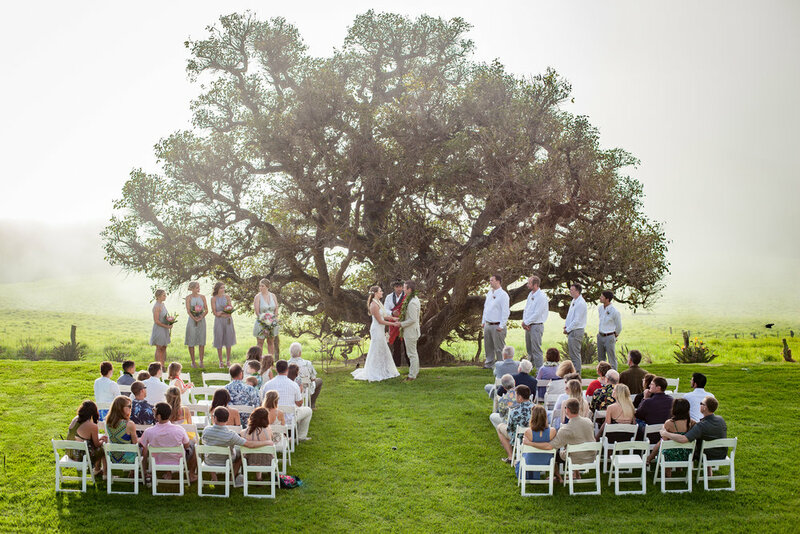 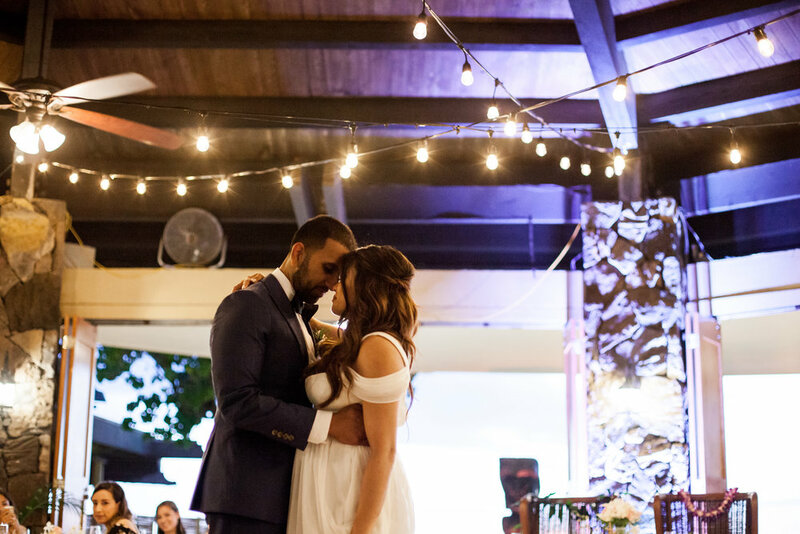 They said their "I do's" under the wedding tree and danced the night away on the barnyard deck. 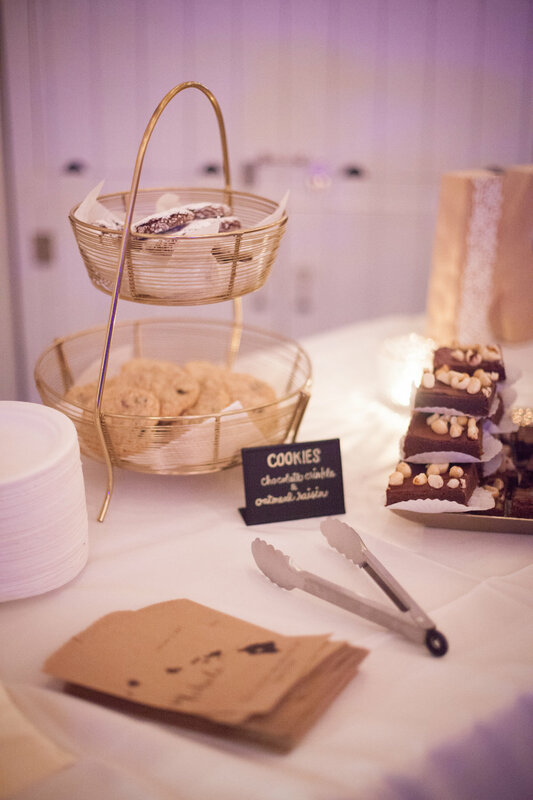 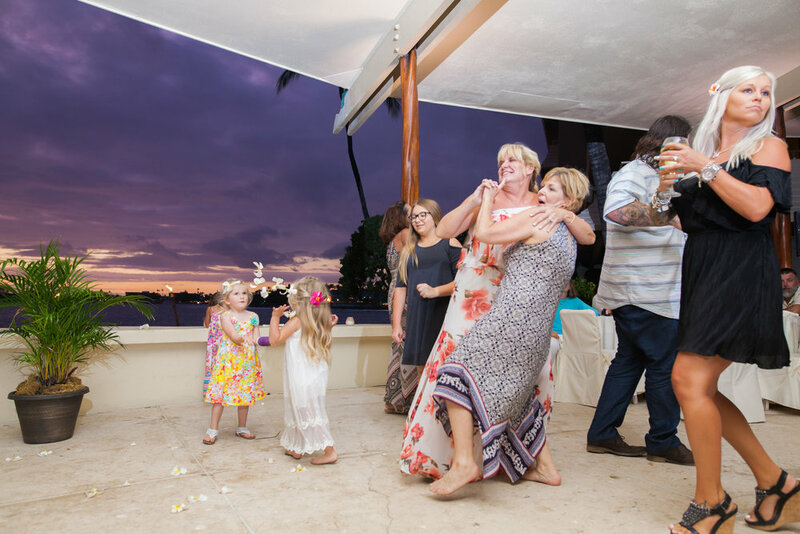 We had such a great time with their wedding party...it was one of those nights that your cheeks hurt at the end from smiling and laughing so much. 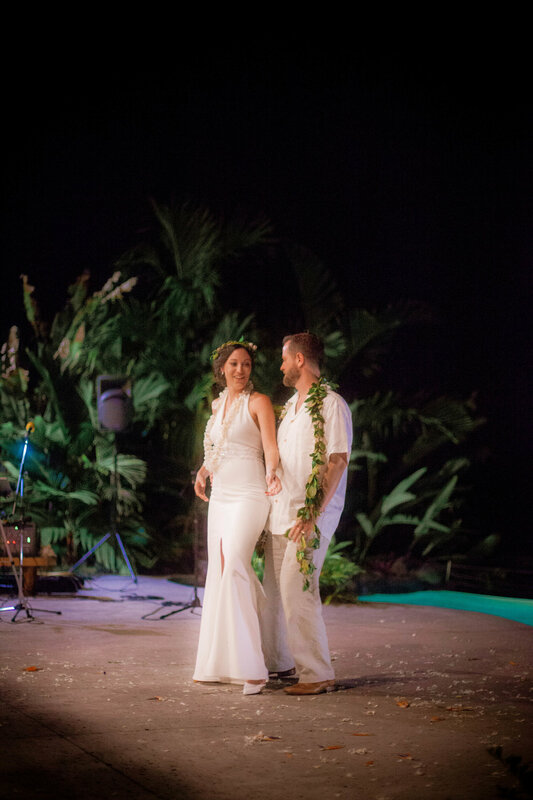 Well worth it and we wish we could do it all again! 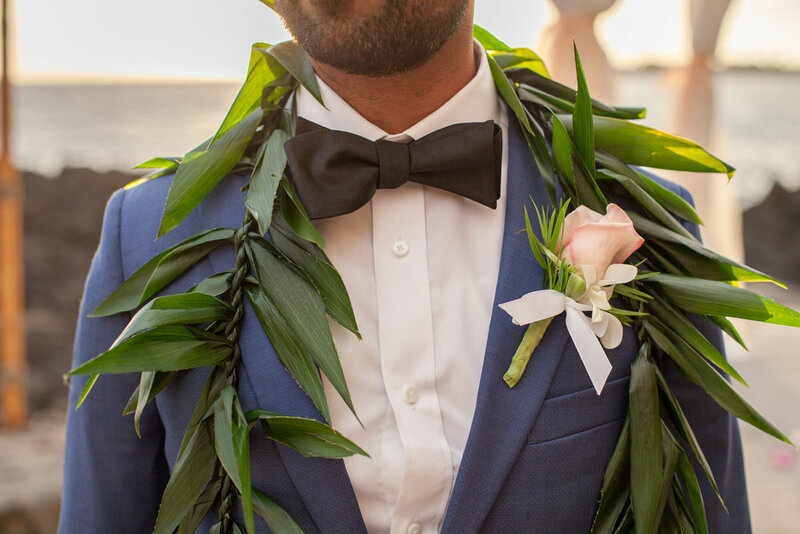 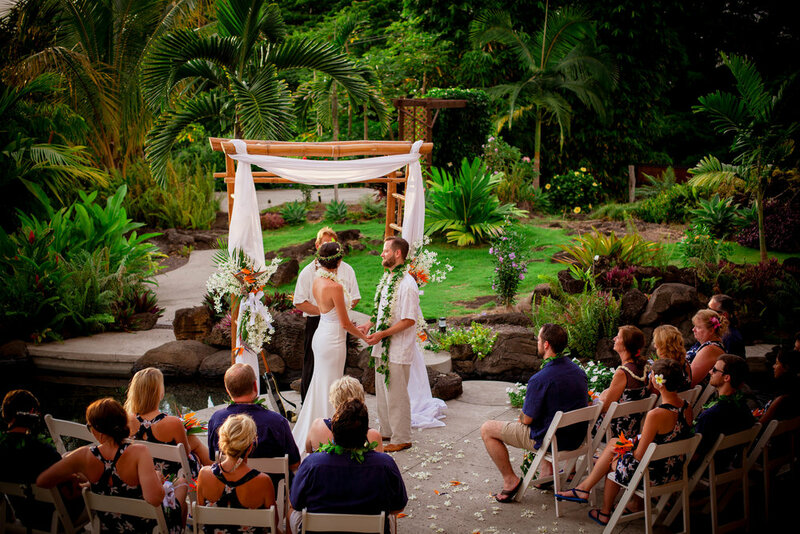 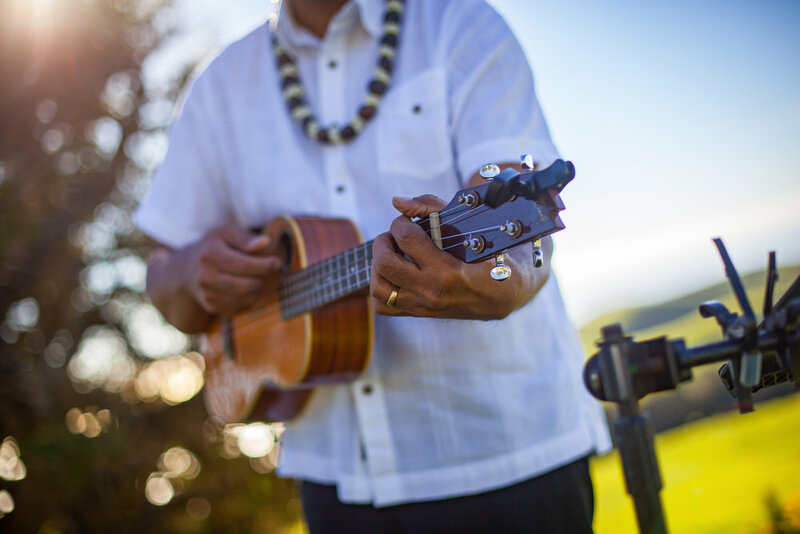 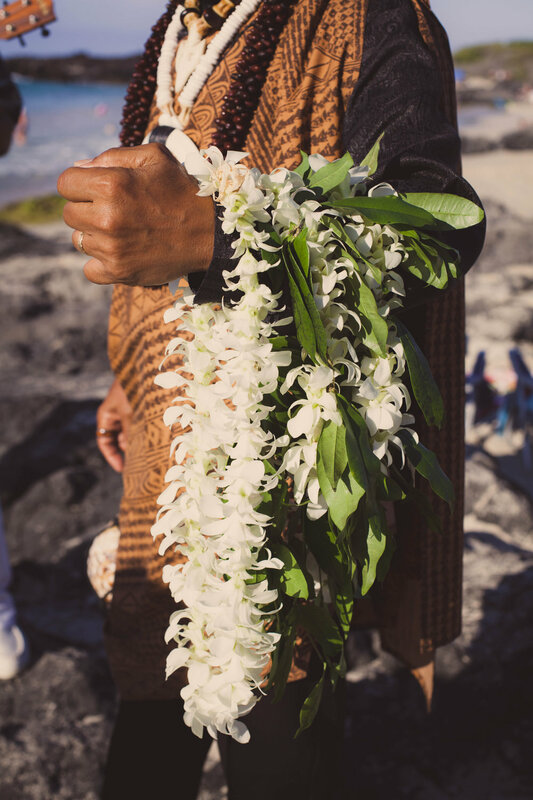 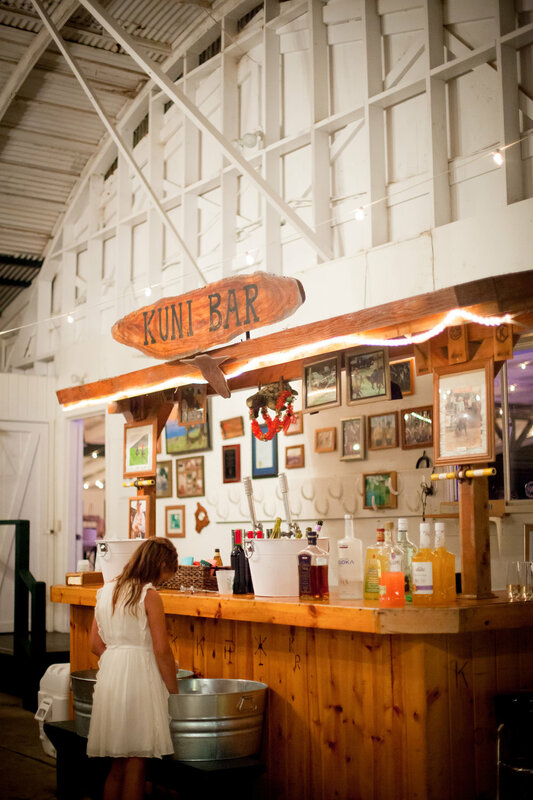 A big mahalo to Swept Away Island Weddings + Events for putting on another gorgeous event, to the talented musician Dennis Garcia, Ainahua Florals for the breathtaking flowers, Hawai'ian officiant Kahu Kaalekahi, DJ Tiger Jones, Big Island Hair + Makeup, Aloha Monday's catering, Pineapple Bakery, Big Island Tents and of course Big Island Party Bus. 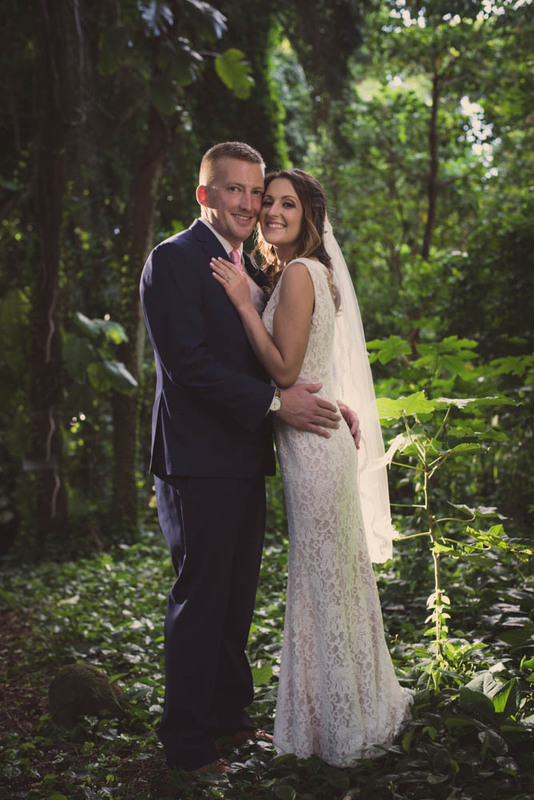 Congrats Katie + Kole! 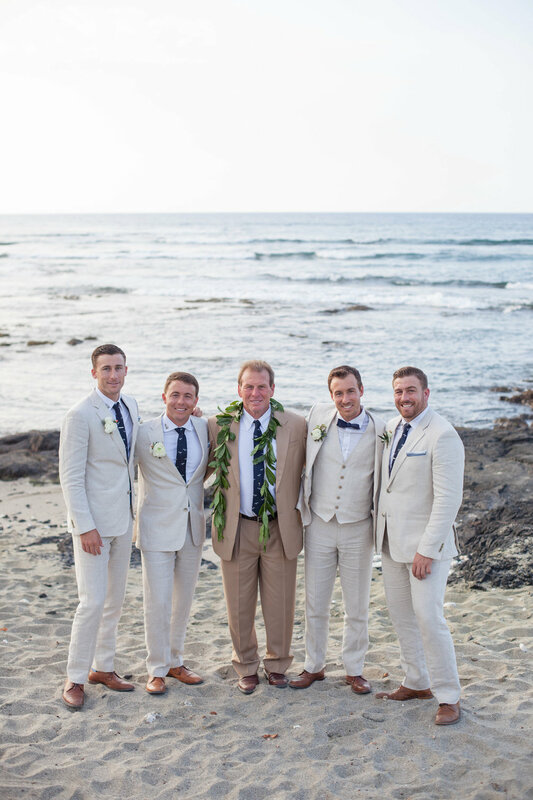 Yep, Ryan + Ryan! 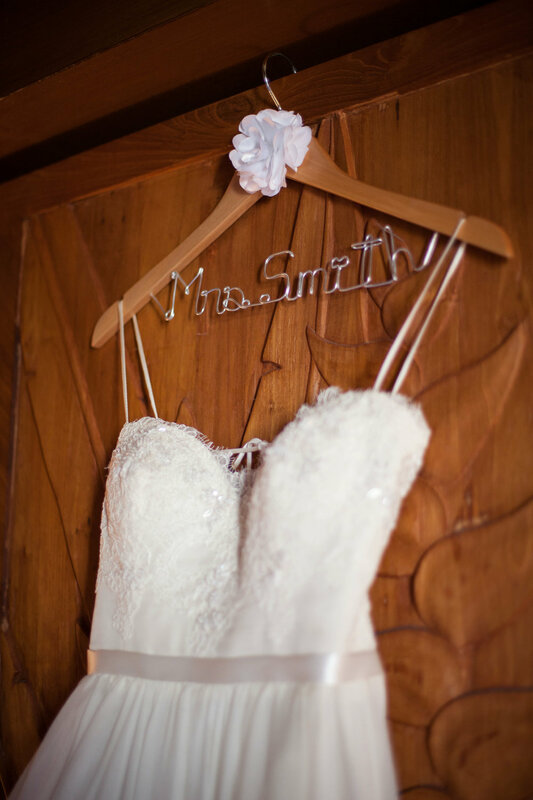 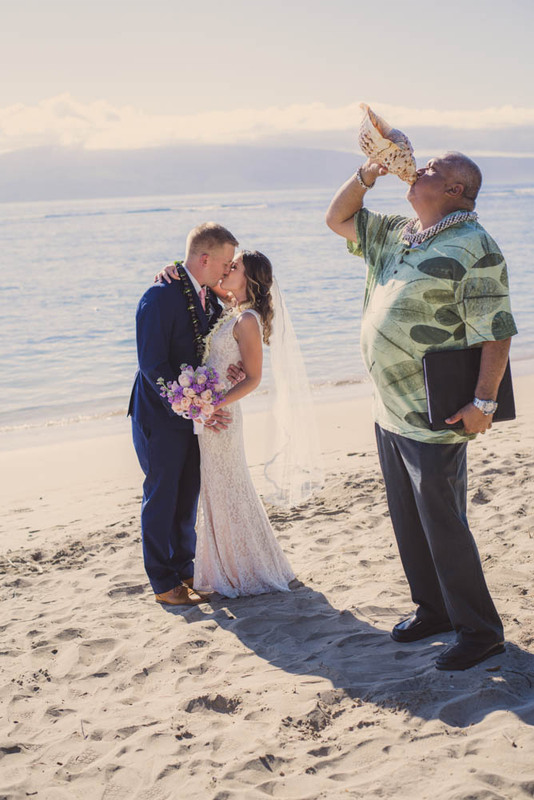 Puts a whole new meaning to the bride taking the groom's name, right?! 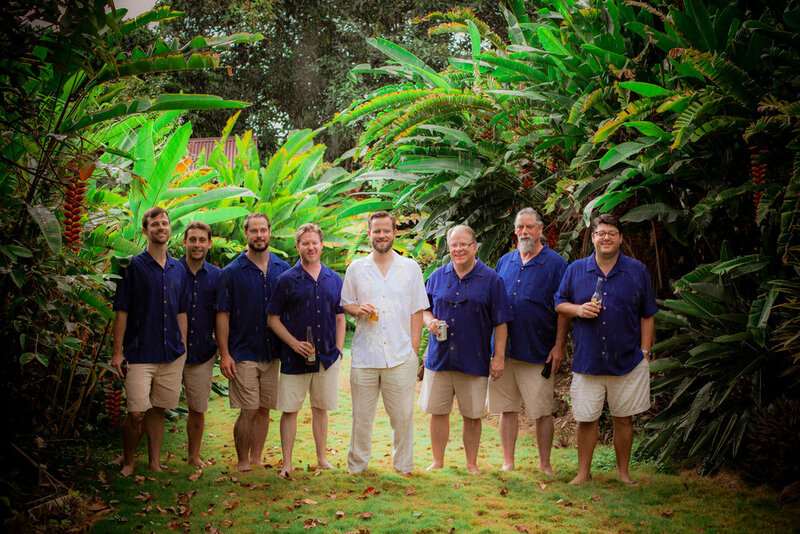 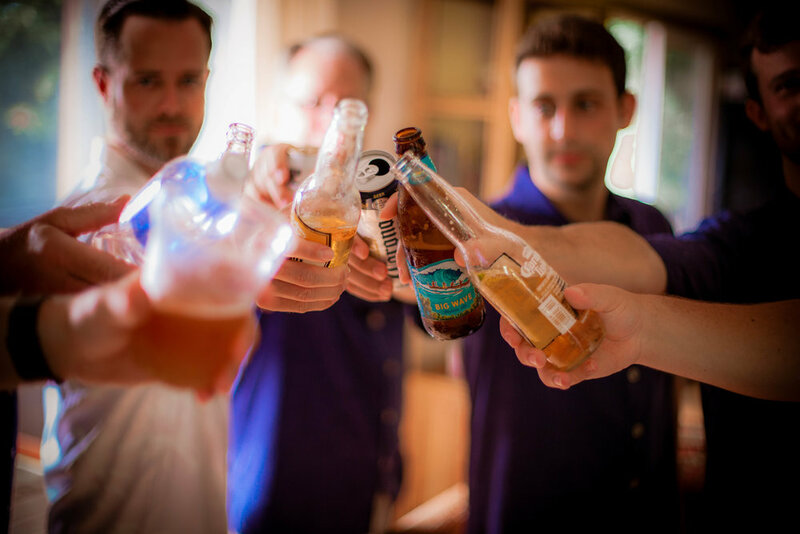 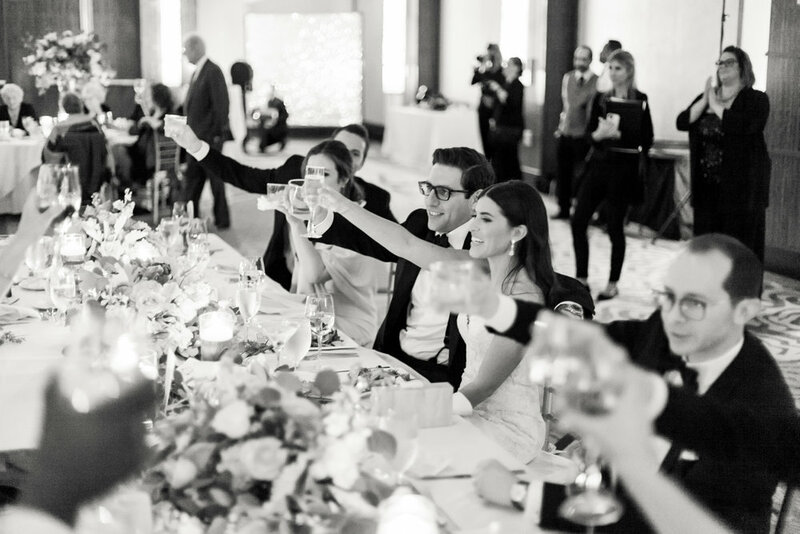 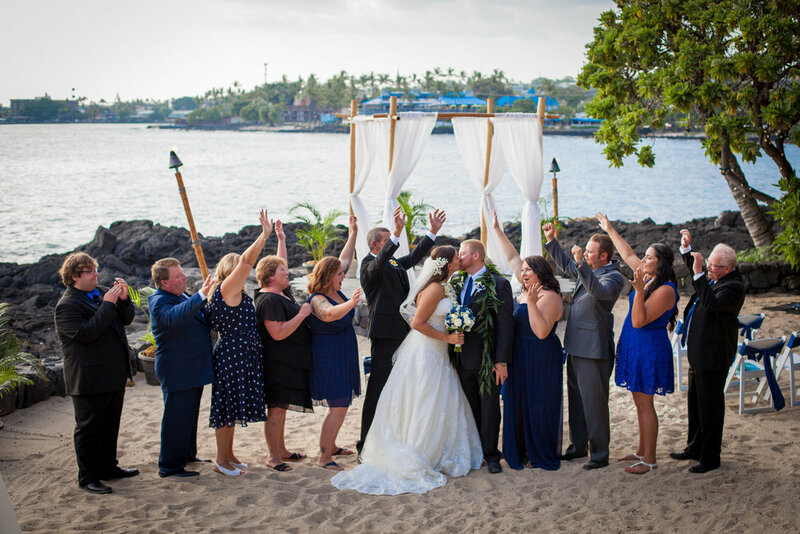 This couple, this bridal party, the whole guest list actually, were THE MOST FUN. 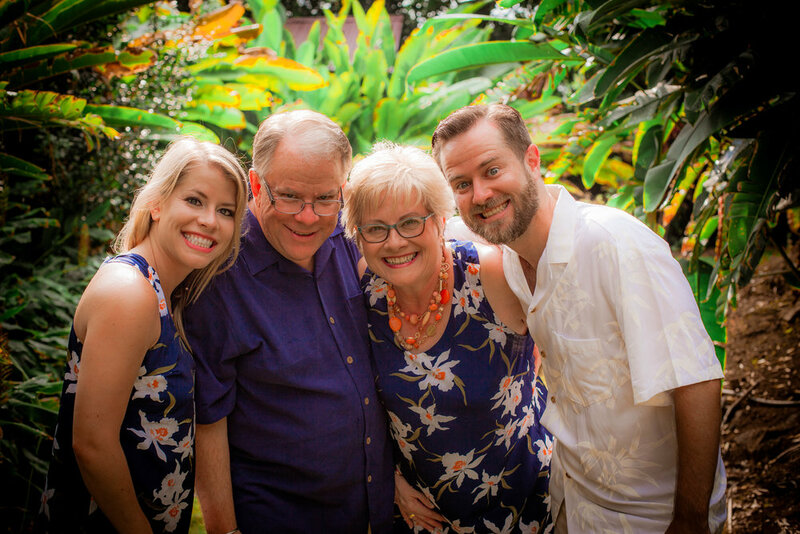 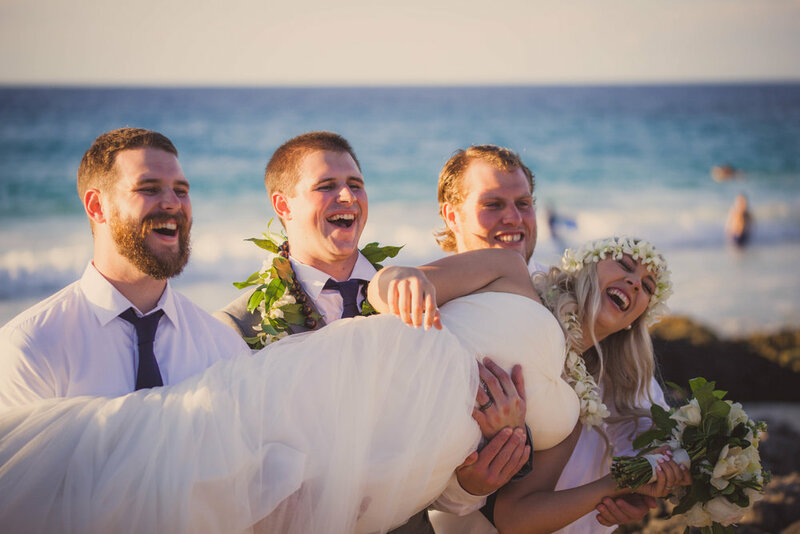 They all were so full of life and happiness and total goofiness, that I'm surprised I was able to get a serious shot in all day...and I wouldn't have had it any other way! 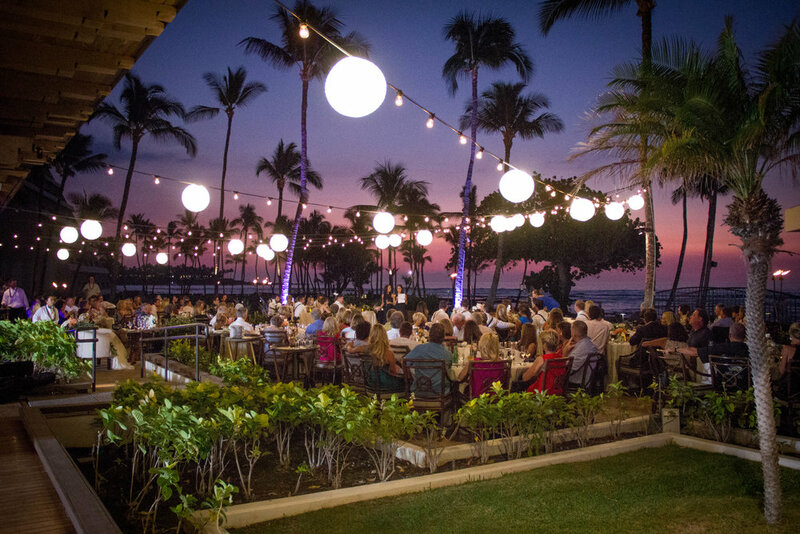 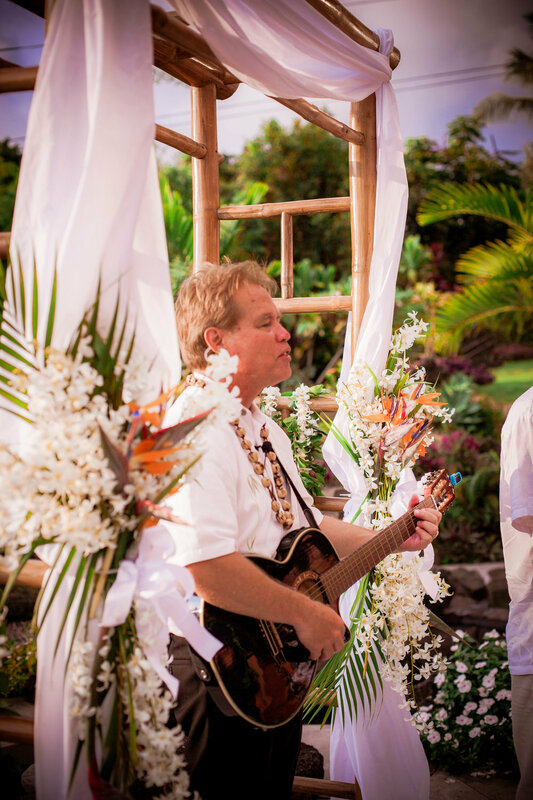 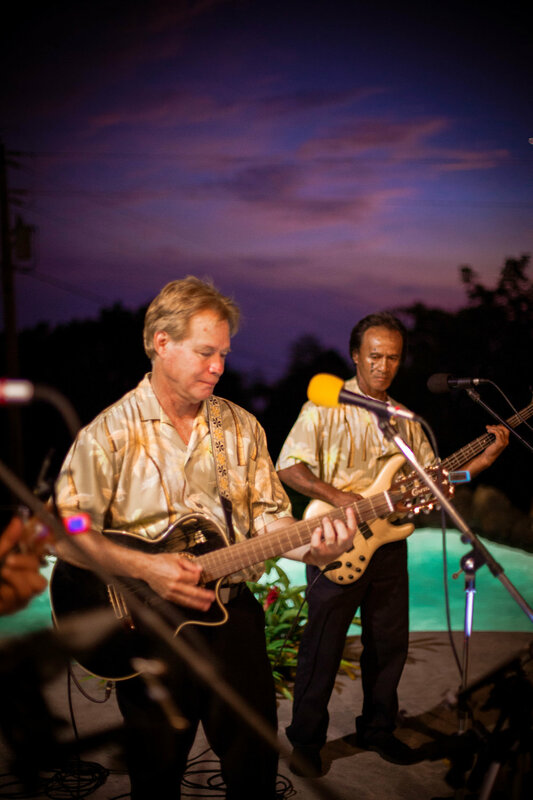 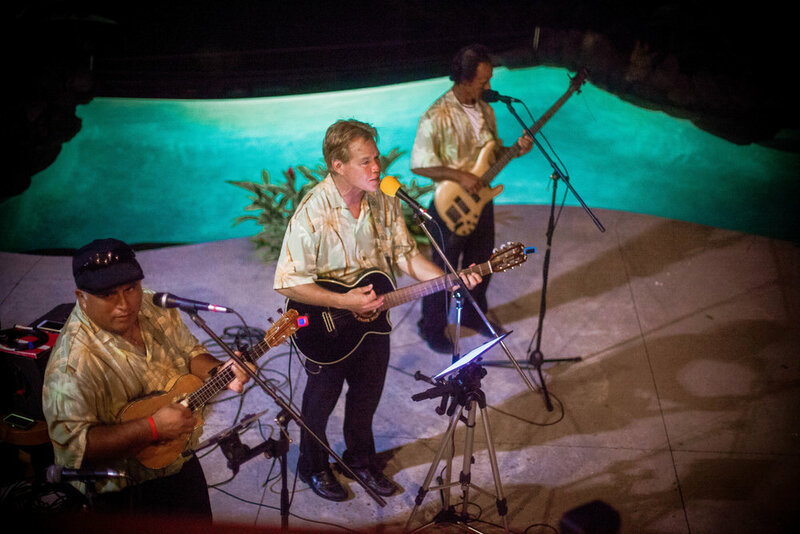 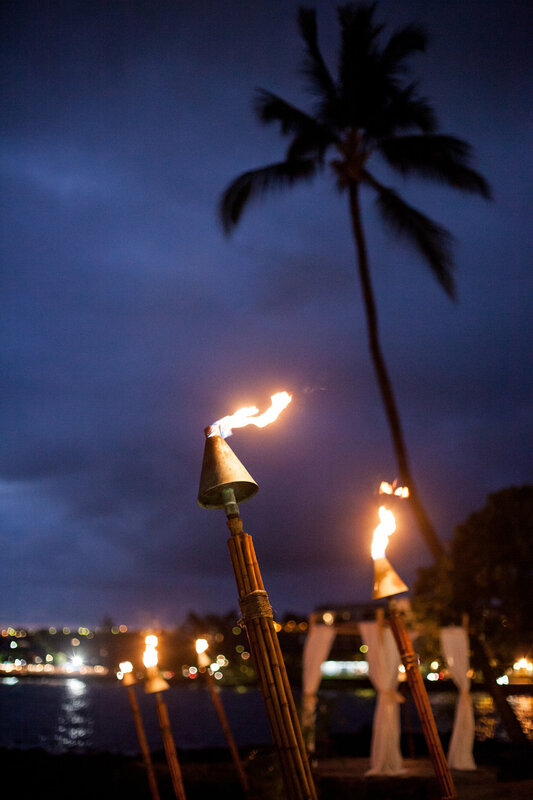 Thanks to the Royal Kona Resort for another spectacular event at their Private Lagoon and Ali'i Terrace. 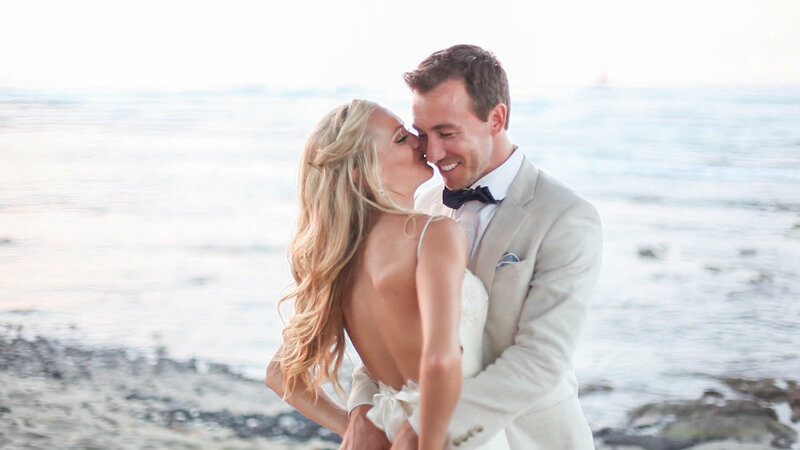 And congrats Ryan + Ryan! 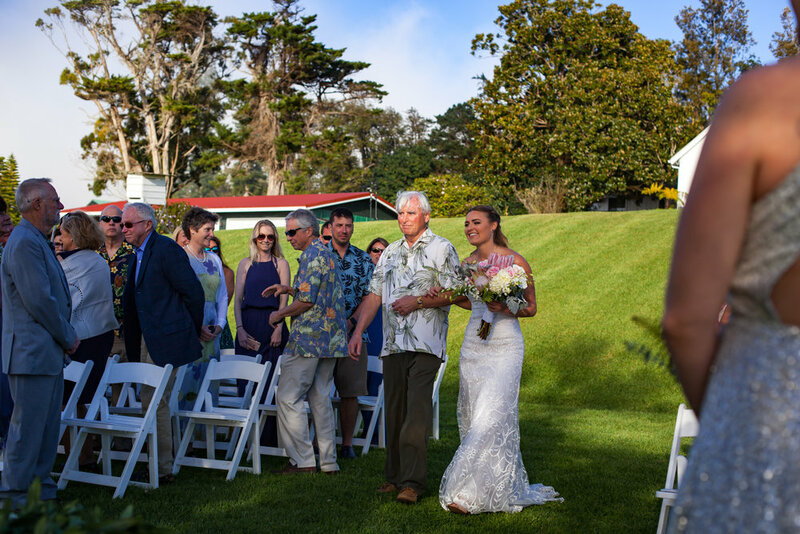 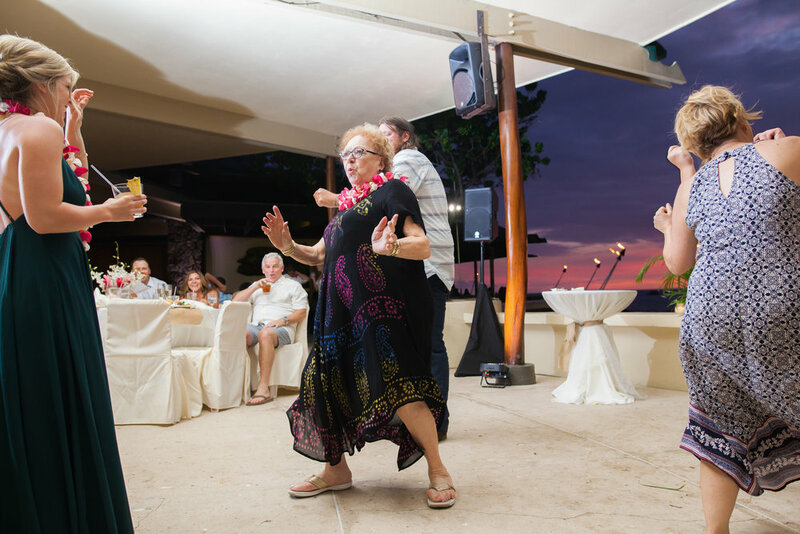 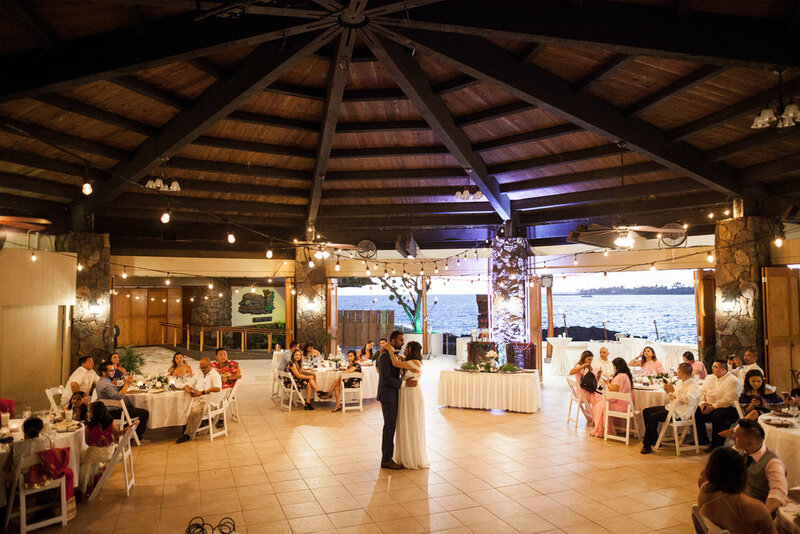 Sunset Cove has become such a popular spot for weddings....and with good reason, the name speaks for itself, and it never disappoints! 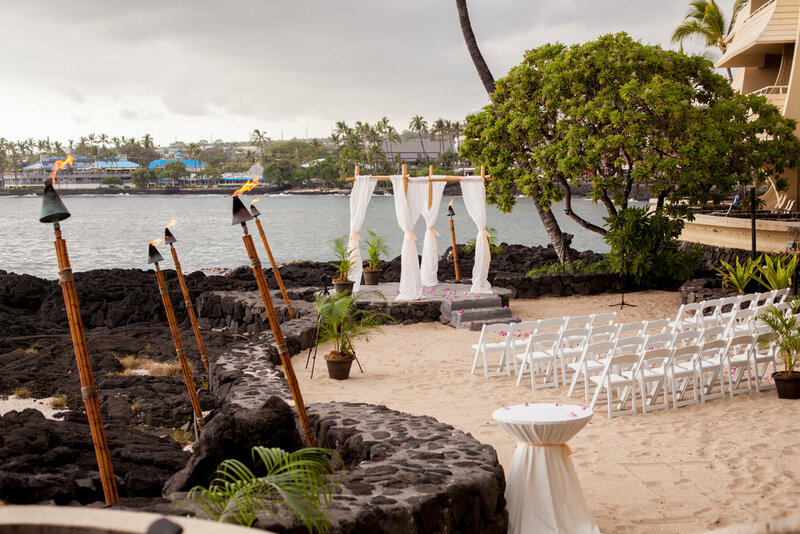 The sandy beach is situated upon the lava rock shoreline, just off the Big Island's coast at the Royal Kona Resort. 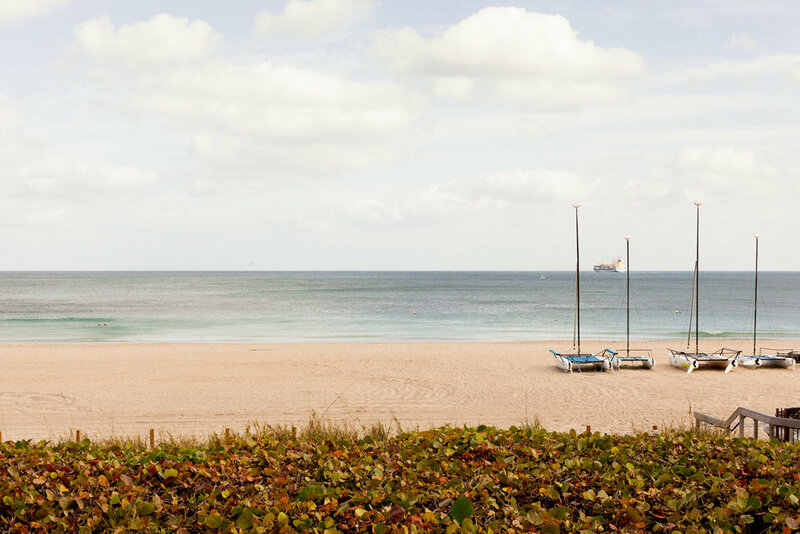 What we usually don't get there, though, is rain. 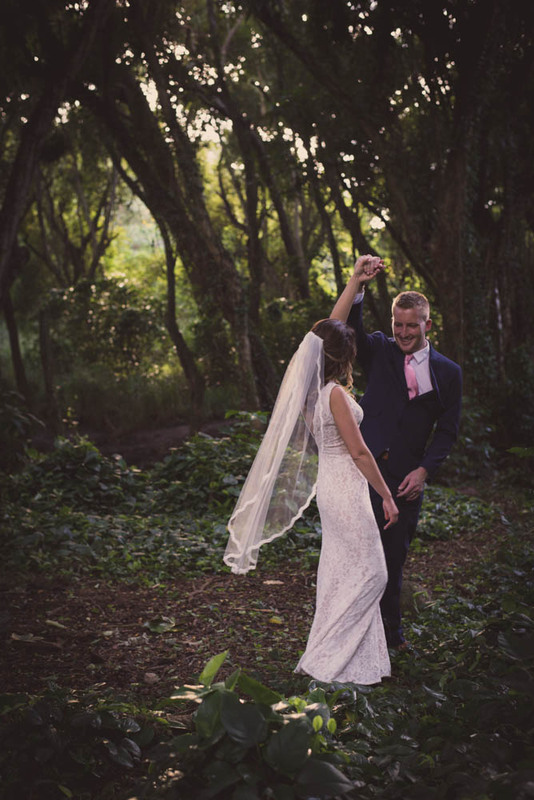 But Eleanor + John were definitely blessed with the rain's cleansing purity during their ceremony. 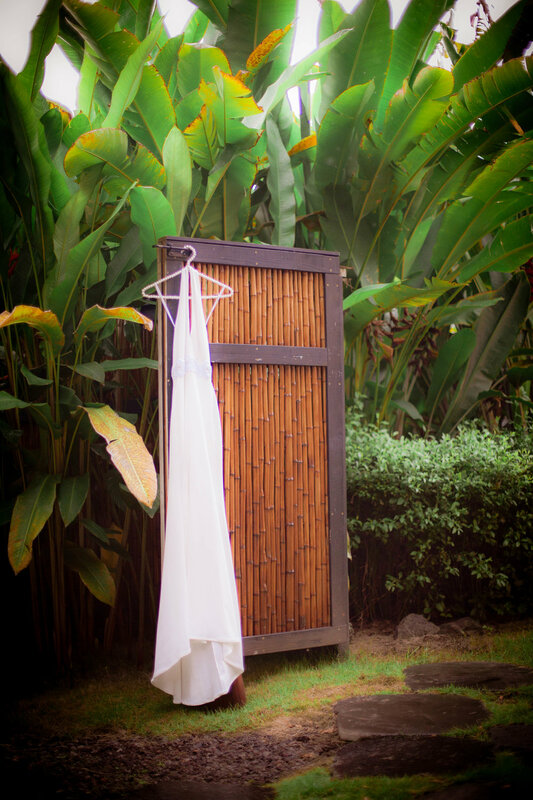 Being just a quick shower, they stuck it out anyway, not letting it ruin their day. 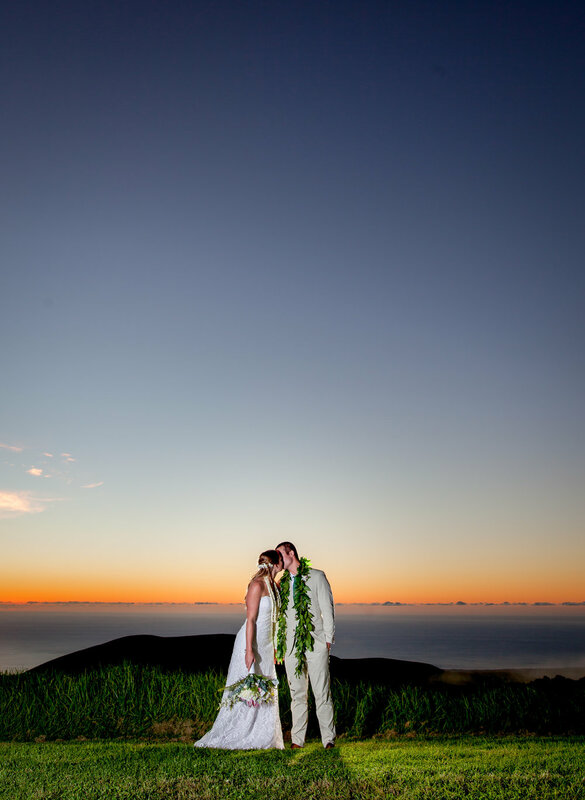 We're so glad they did as it turned into a perfect evening. 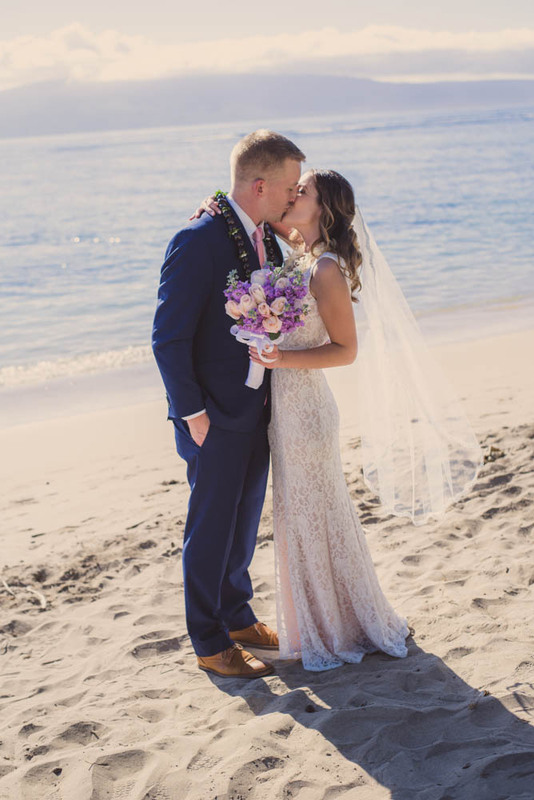 Congrats to the new Mr. + Mrs! 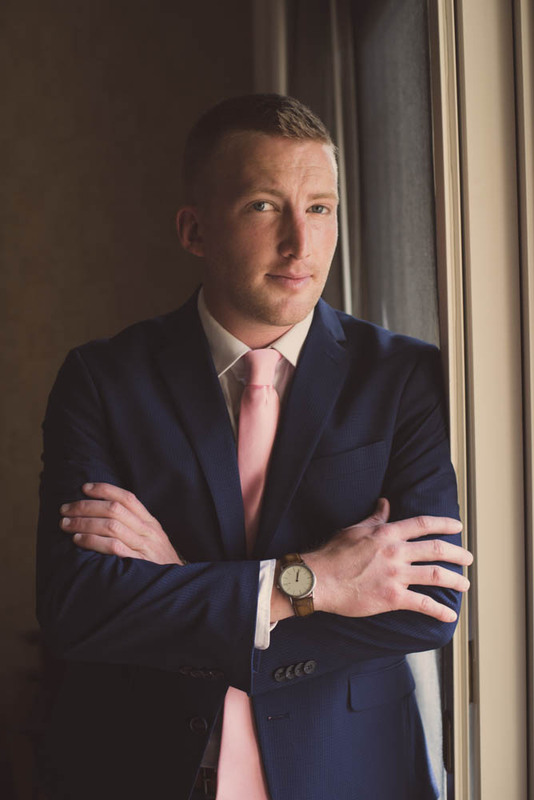 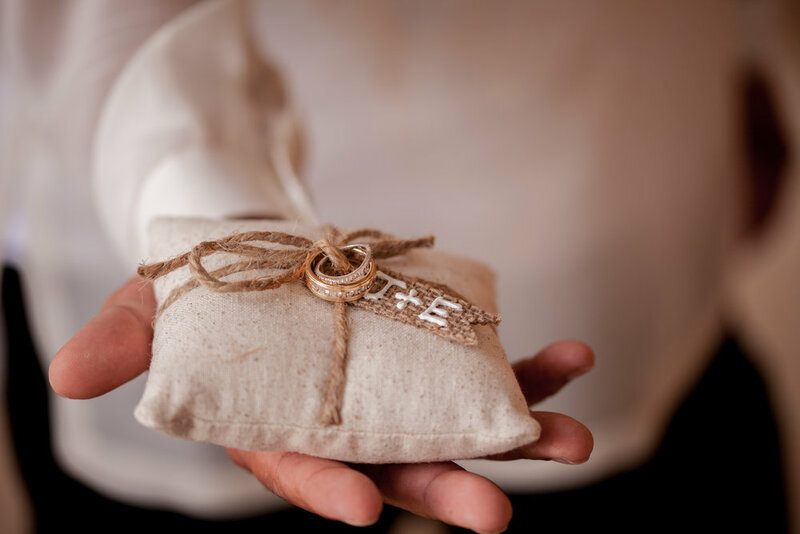 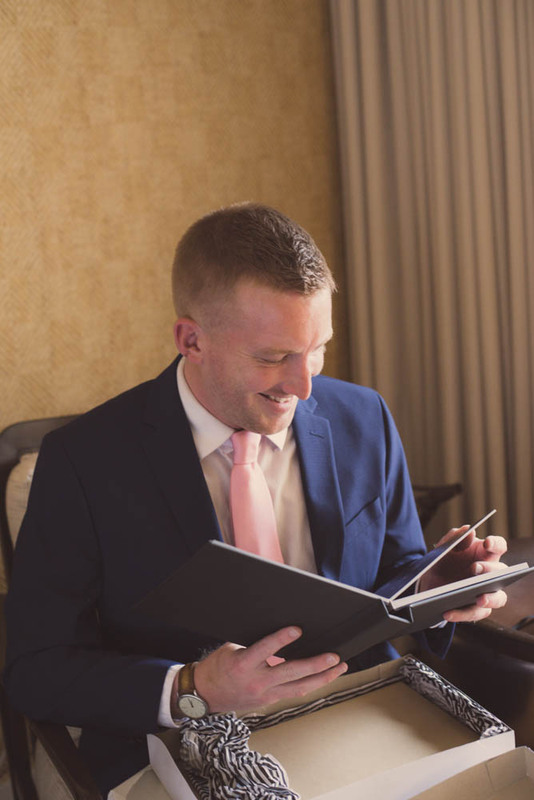 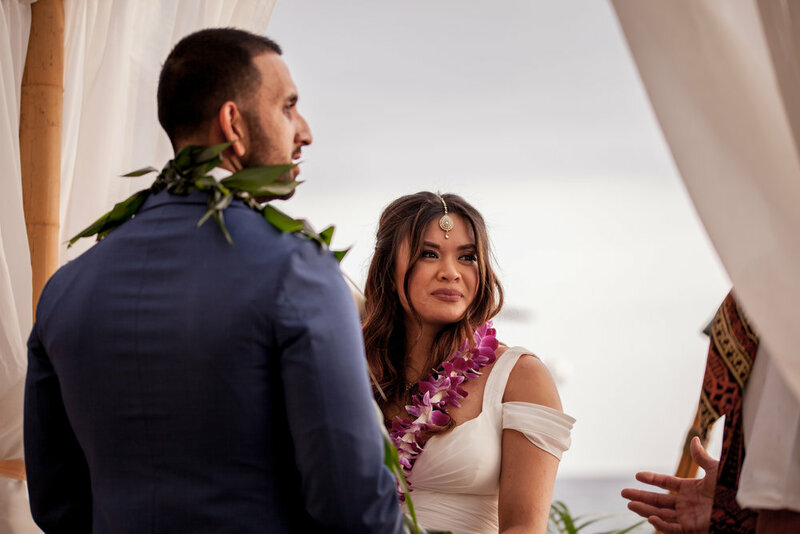 "This was a remarkable session, because the wedding was loosely scheduled for a three-day window of time, with a day-of decision to move forward with the ceremony. 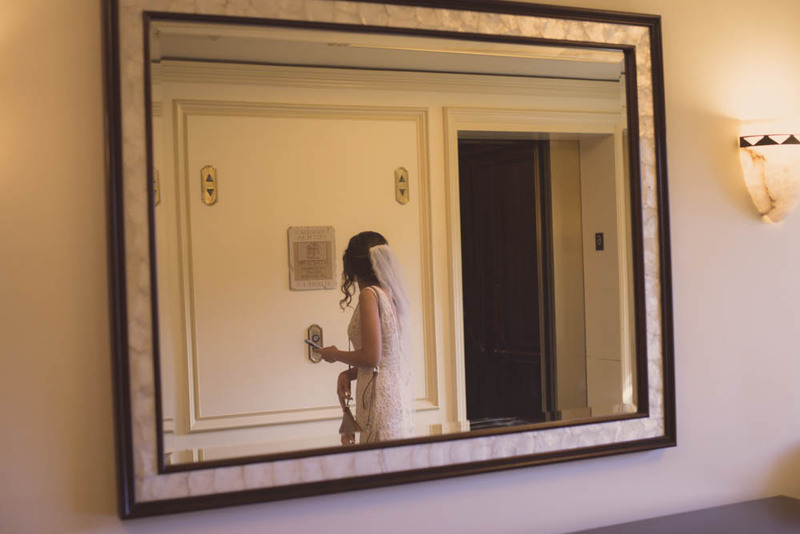 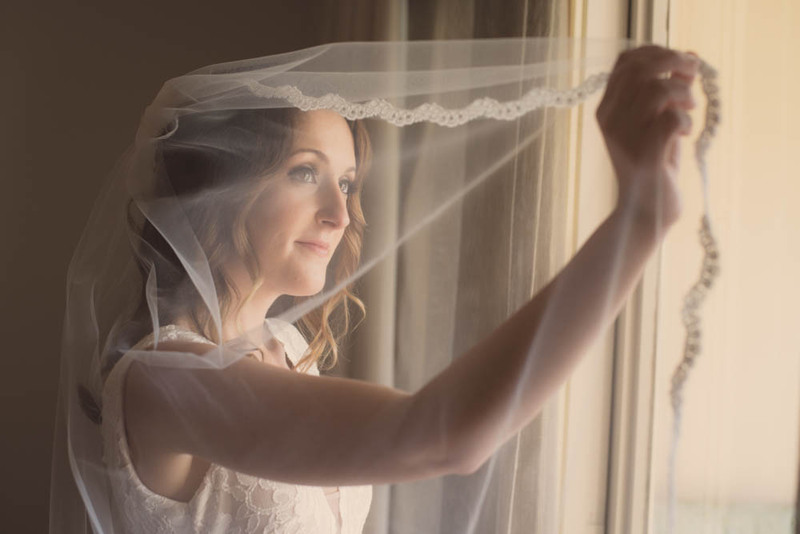 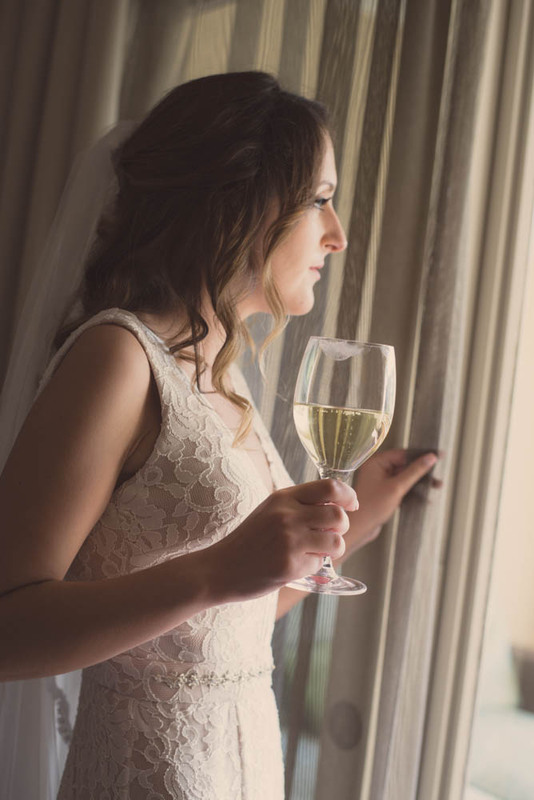 The bride lives with chronic fatigue syndrome, and she didn't know which day she'd wake to the most strength. 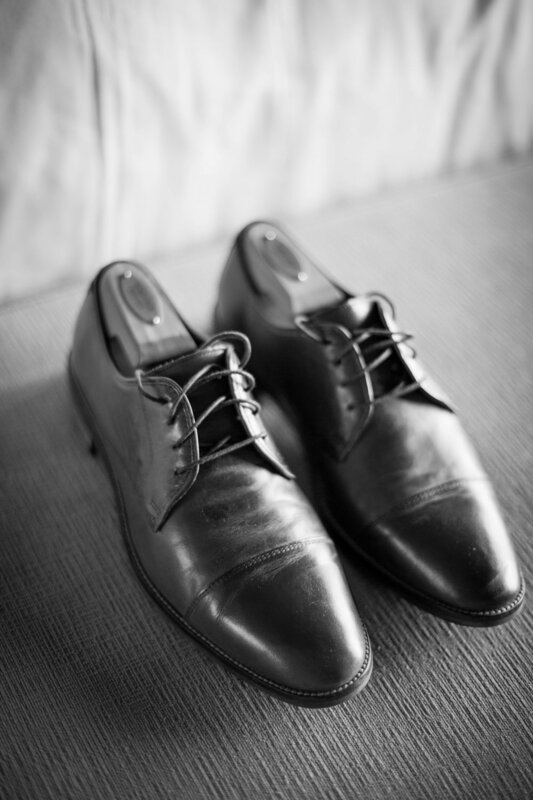 Monday it was! 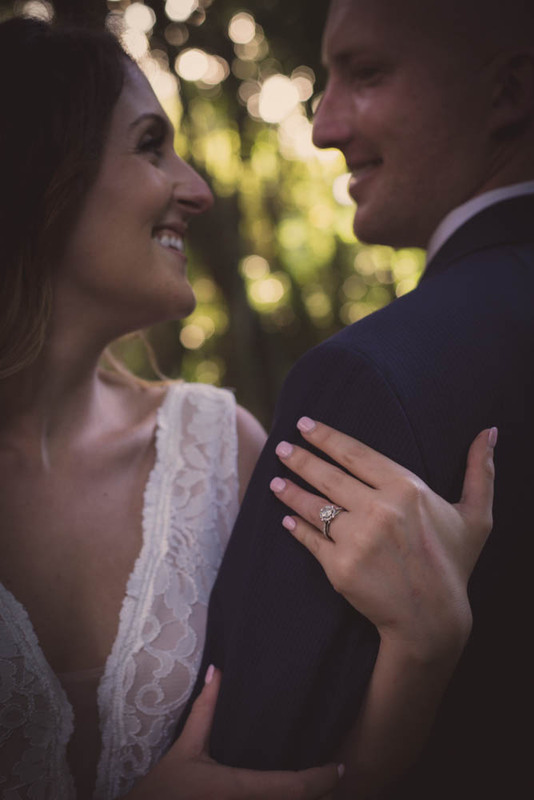 She was a champion - kind, warm, and so in love with her man. 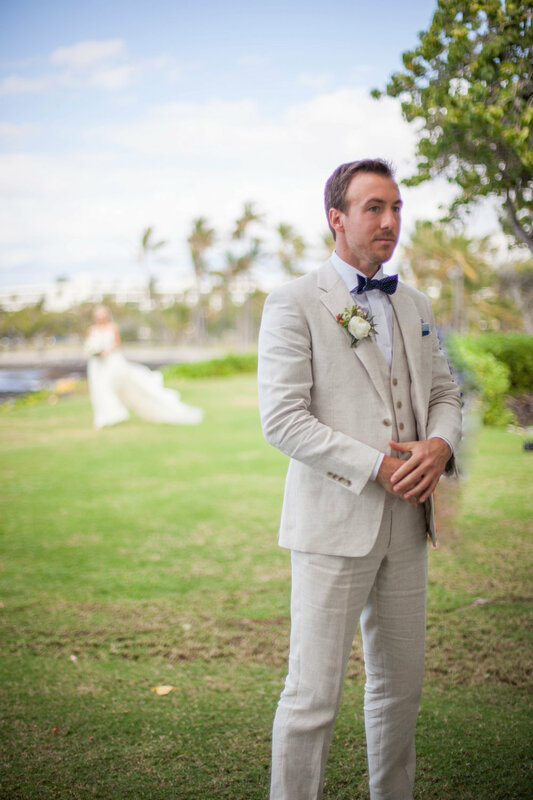 Kelly was superb too - one of the most thoughtful men I've met. 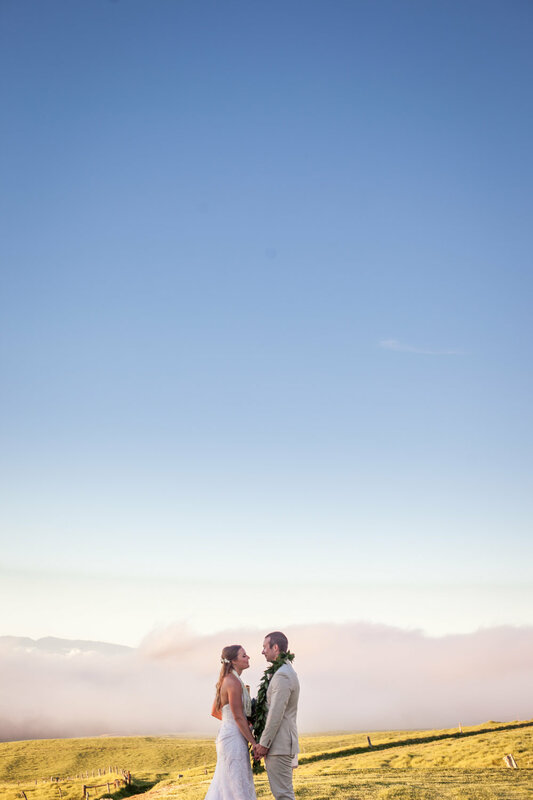 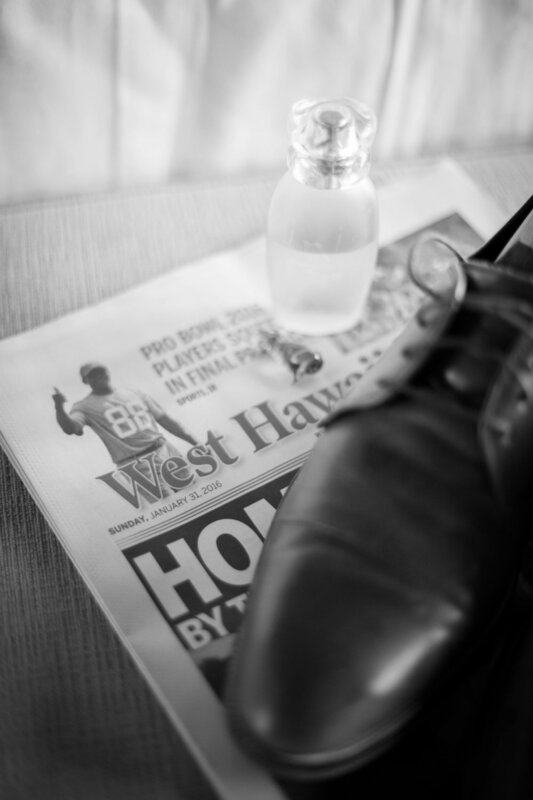 Shooting this wedding was a joy. 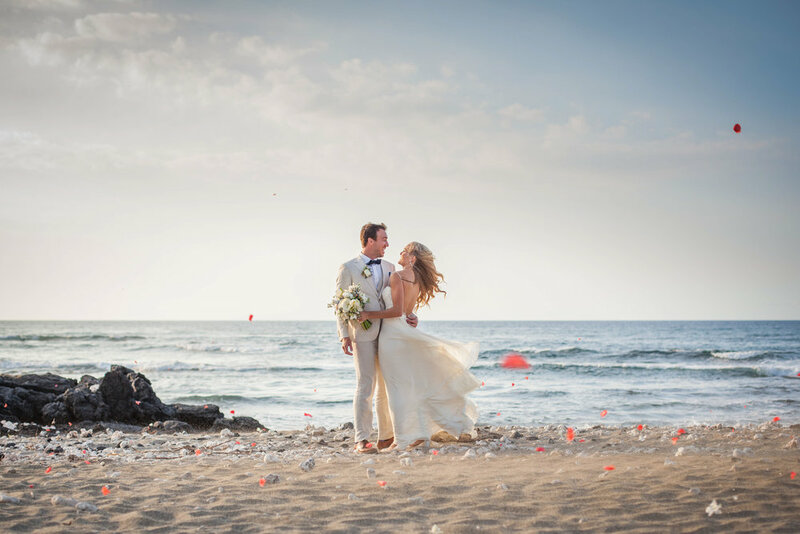 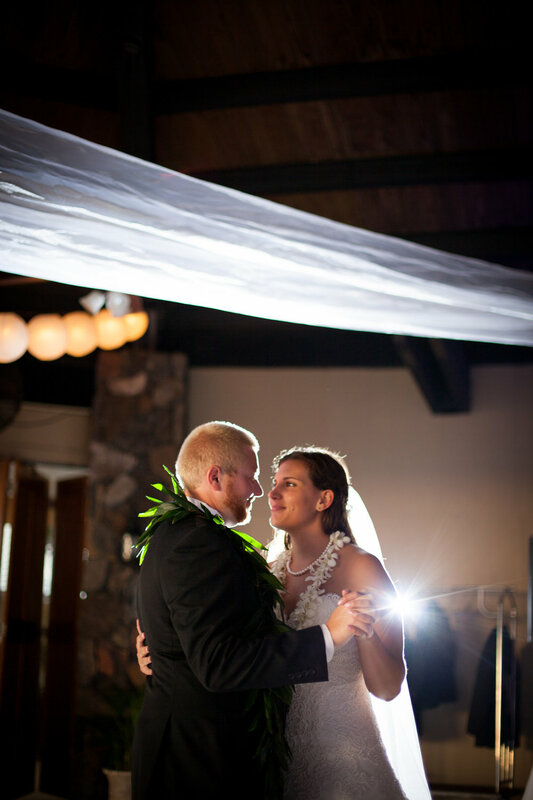 Love triumphed over fatigue, and Lindsay and Kelly were marvelous." 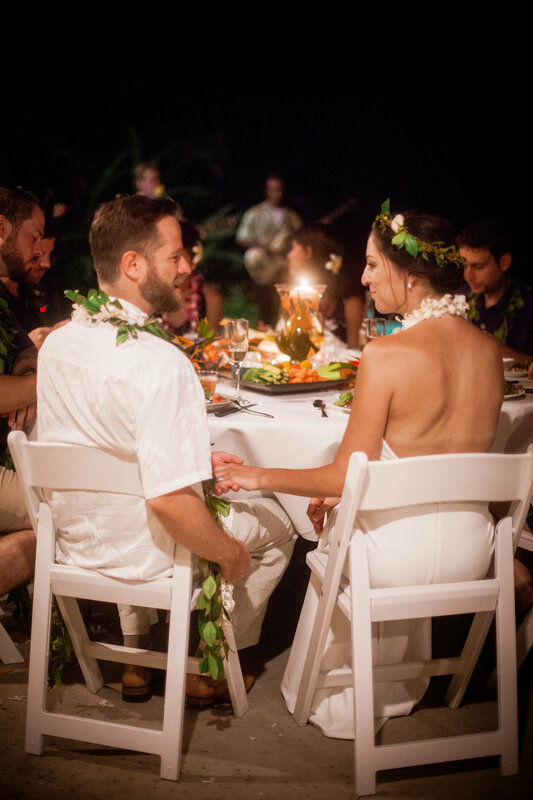 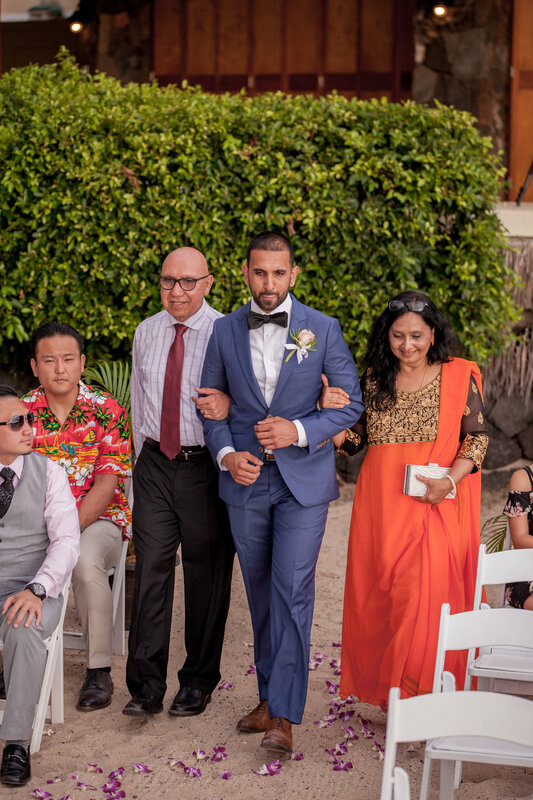 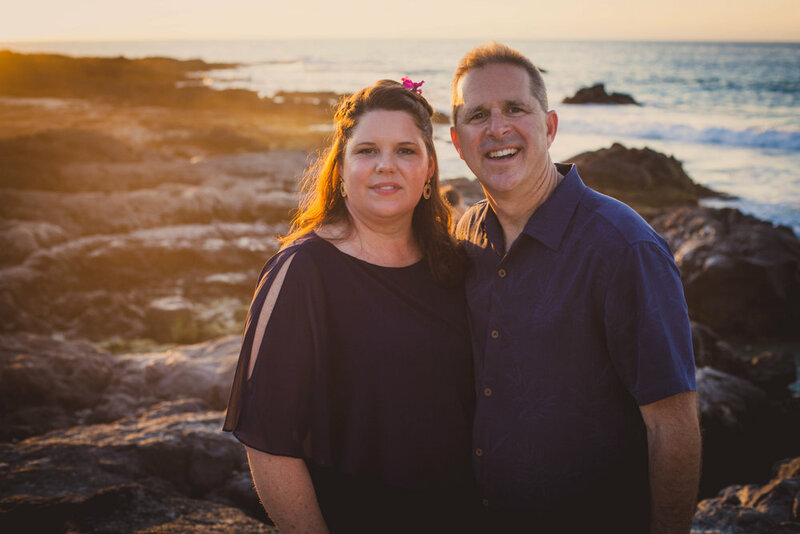 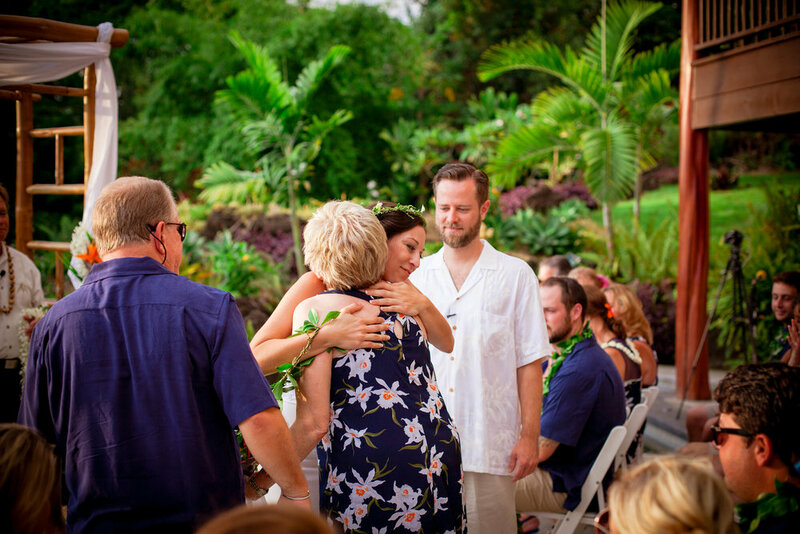 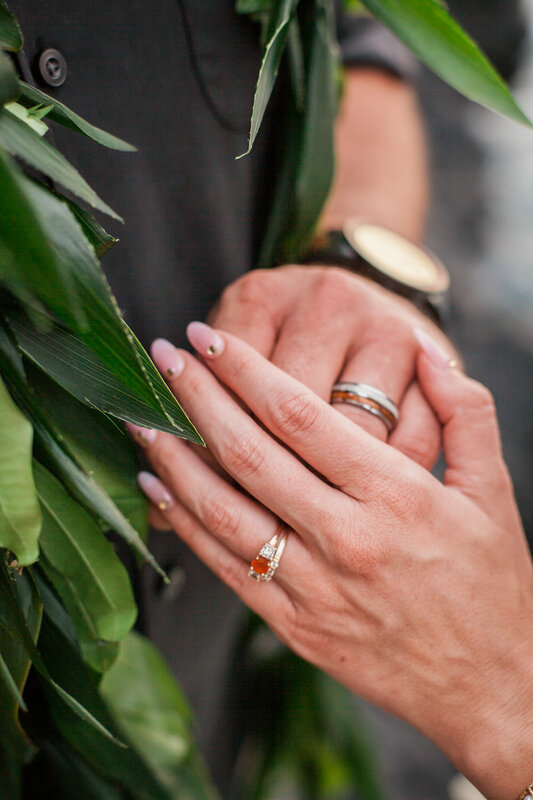 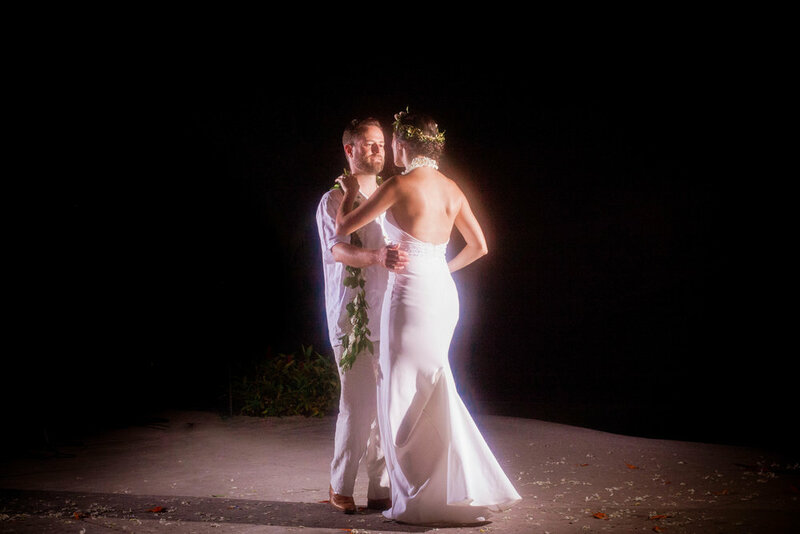 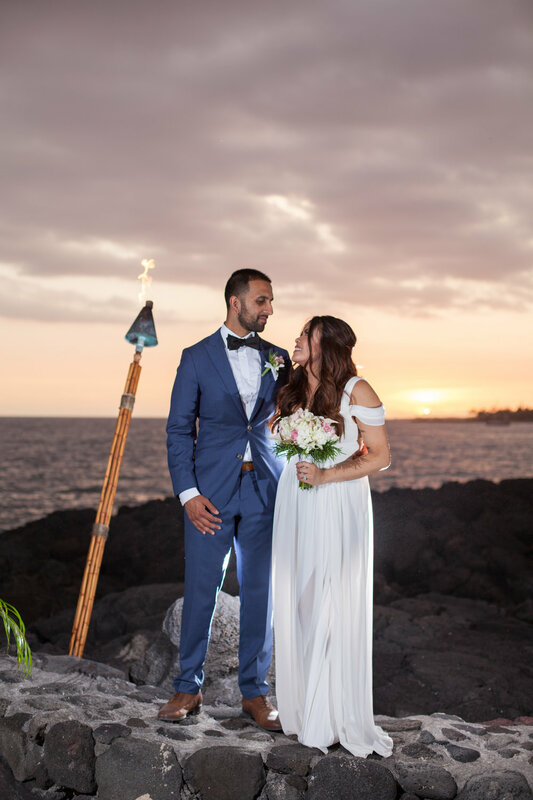 Tonight's wedding was very intimate and completely gorgeous...Michelle + Drew brought their immediate families along to the Big Island of Hawai'i to watch them take their vows. 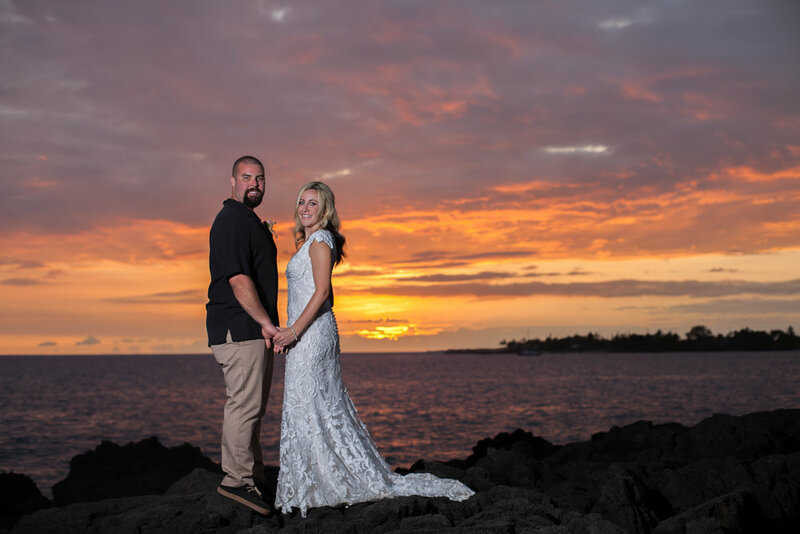 Sunset Cove delivered as usual, leaving them with a spectacular view of the Pacific from the heart of our quaint little fishing town, Kona. 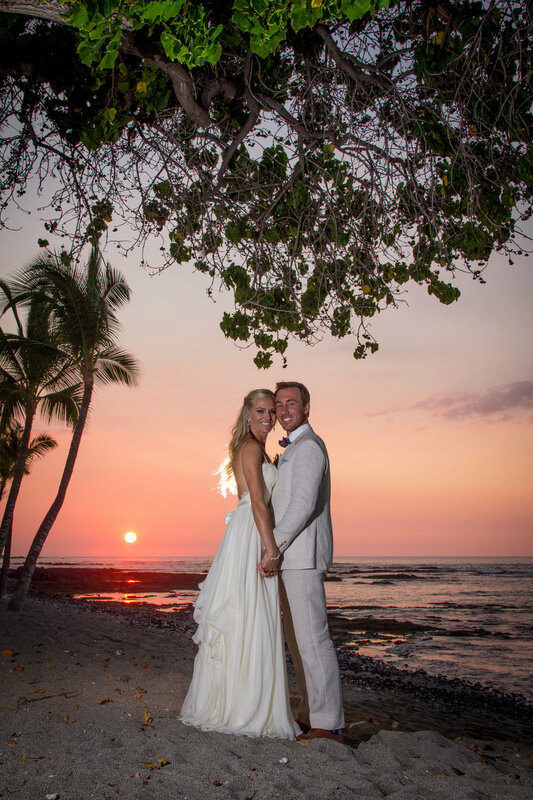 Congrats to the newest Mr. + Mrs! 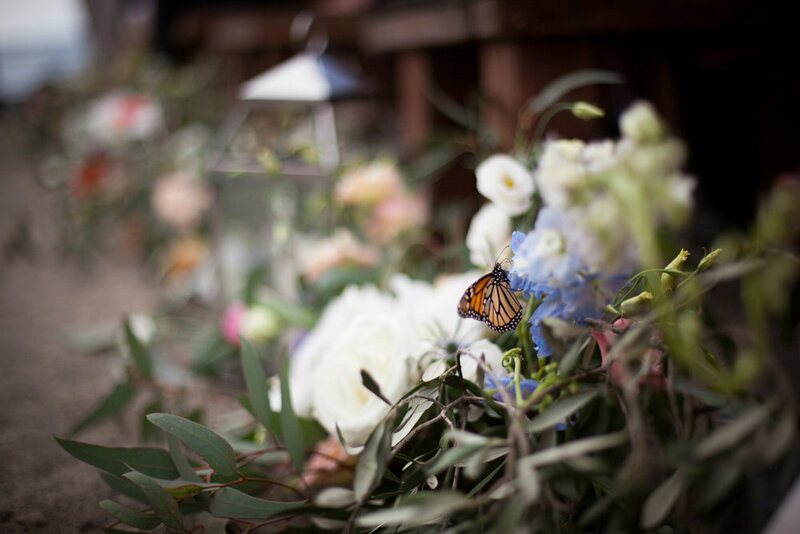 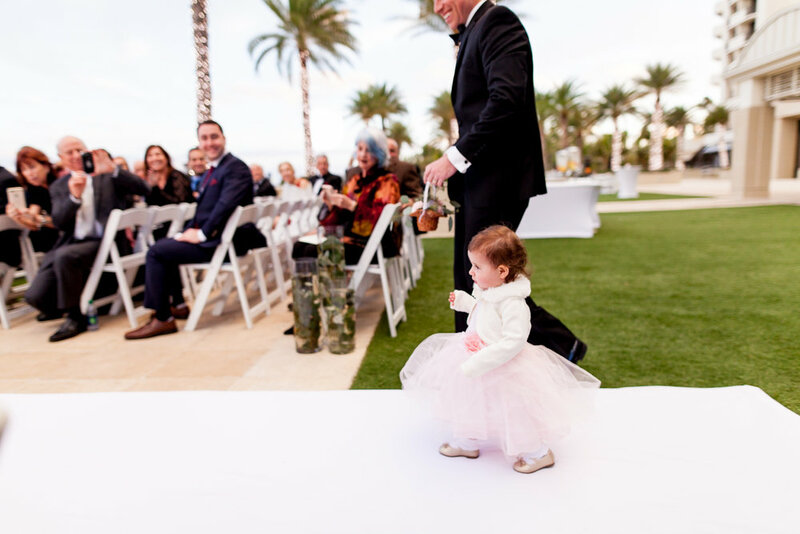 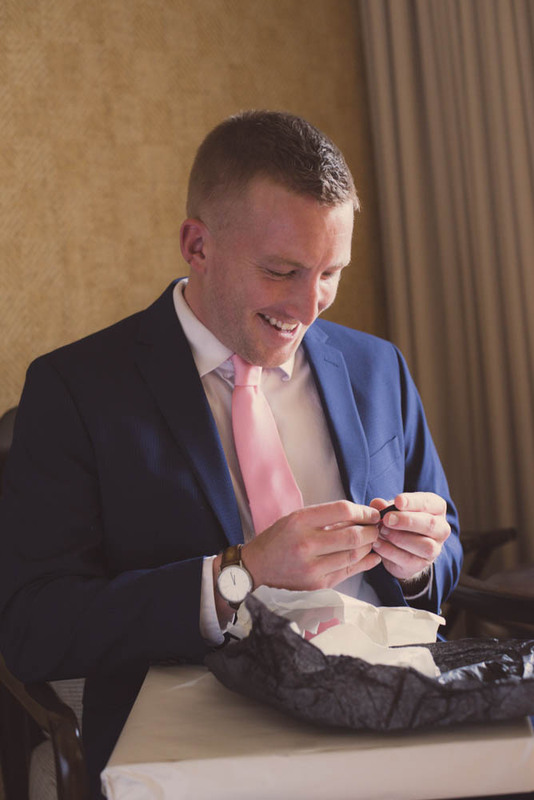 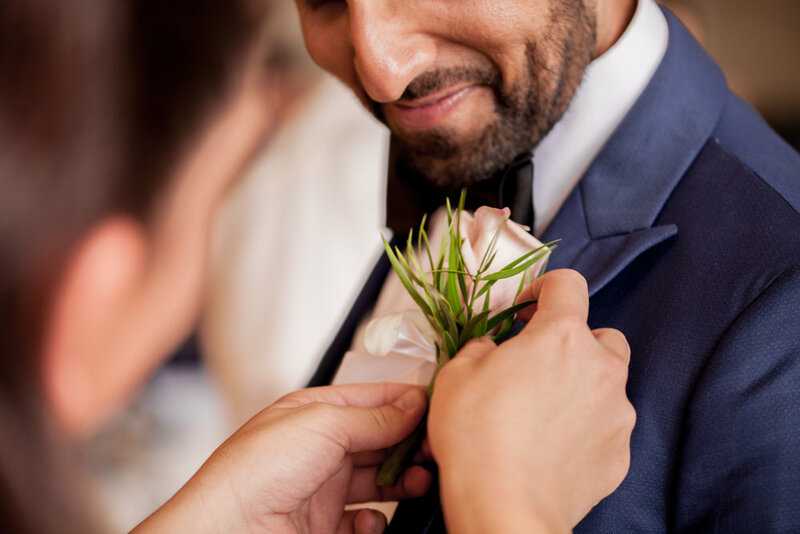 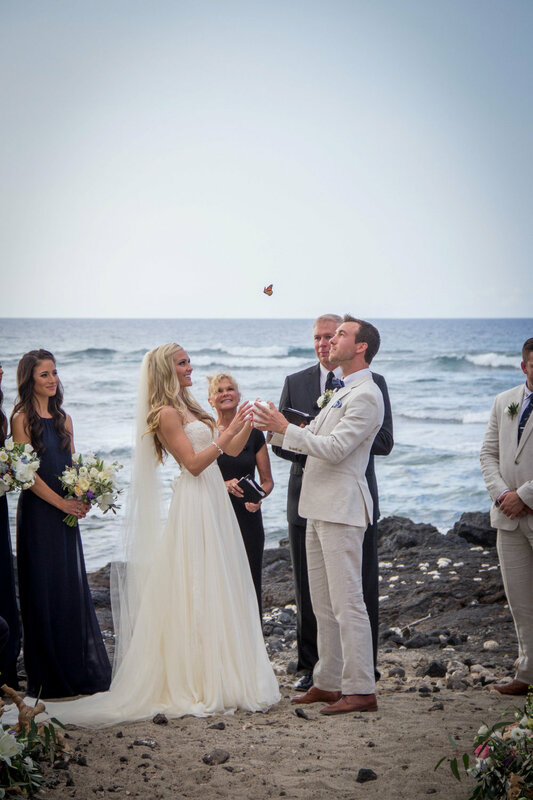 A butterfly release, a helicopter flower petal drop, a surprise dance from the groom + groomsmen...this wedding had it all! 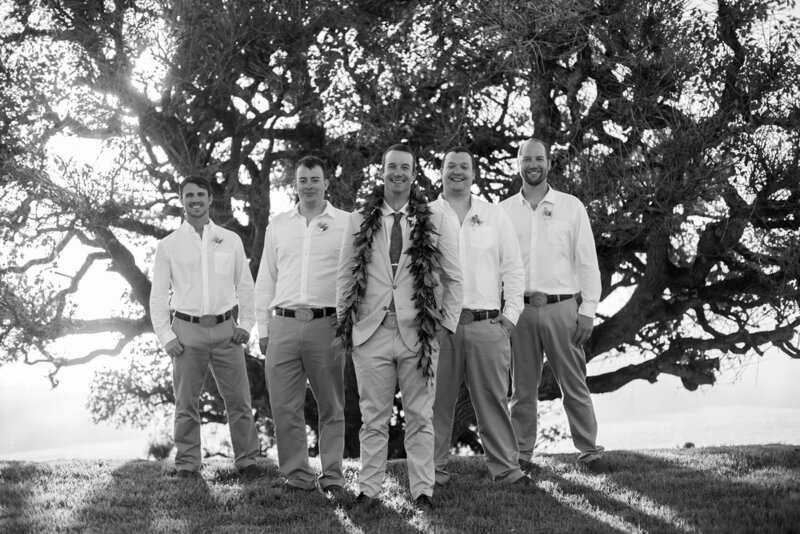 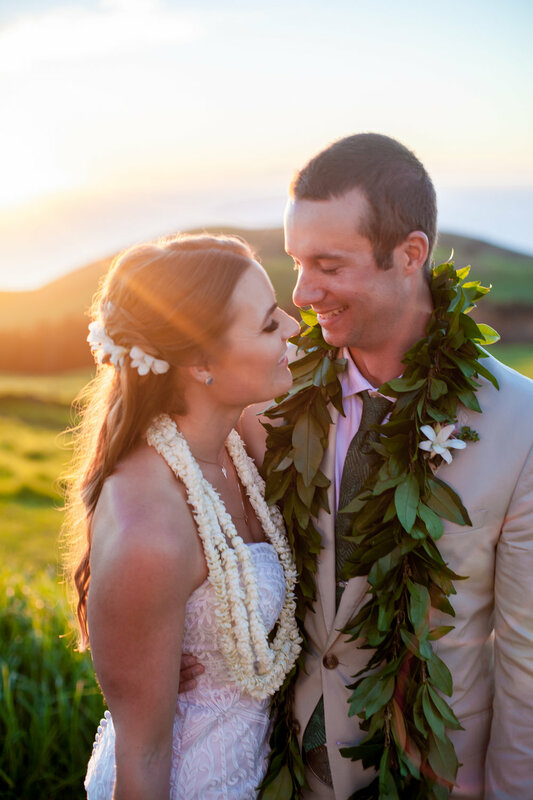 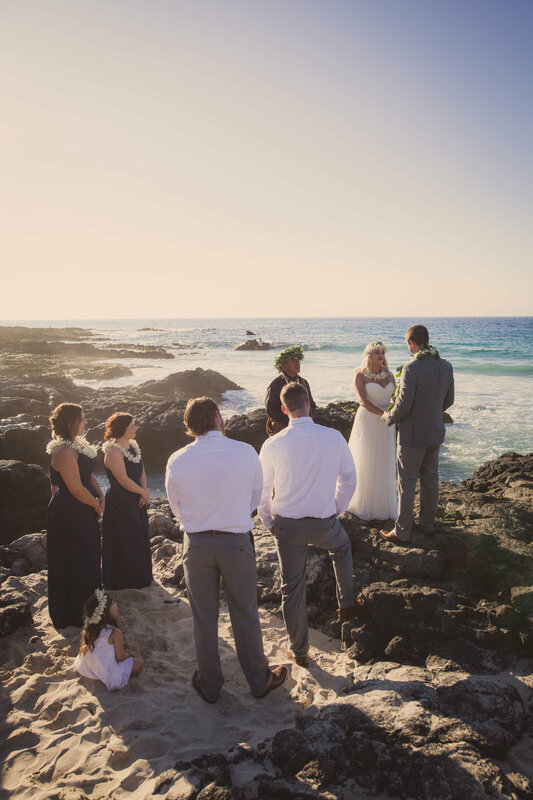 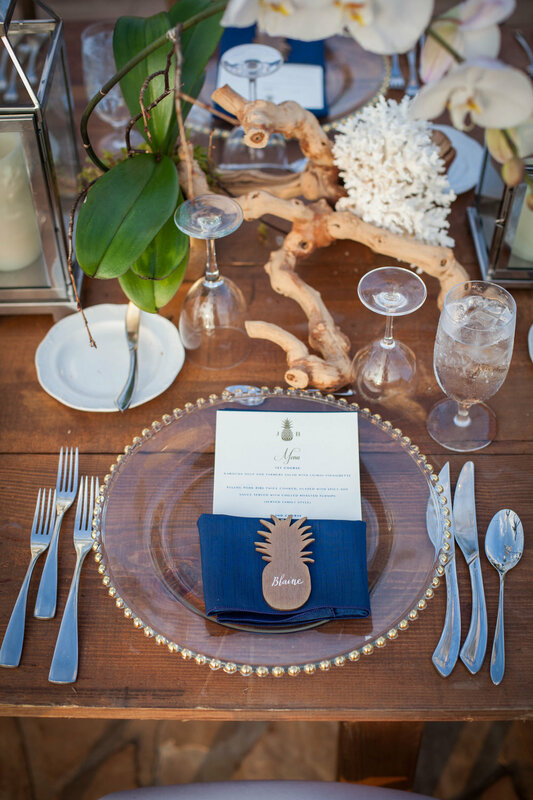 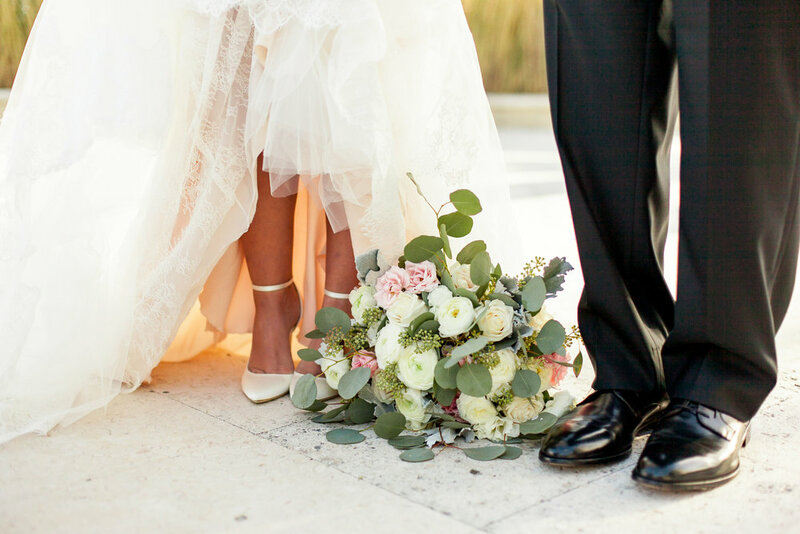 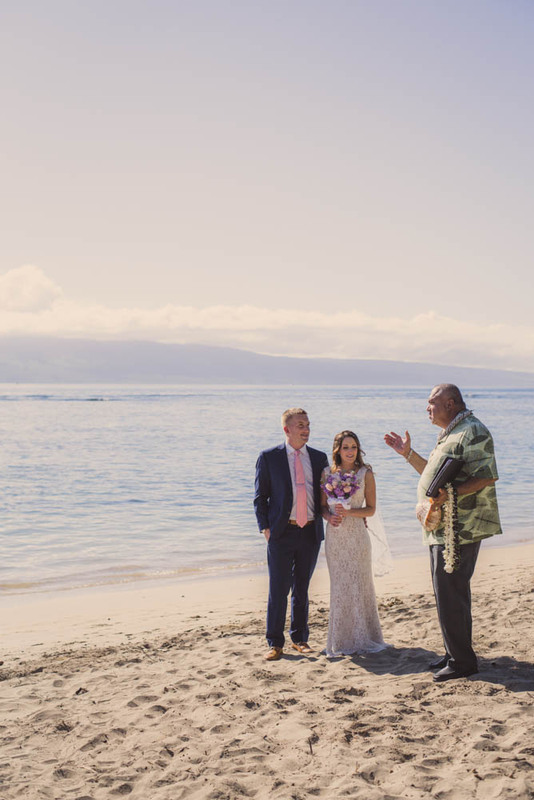 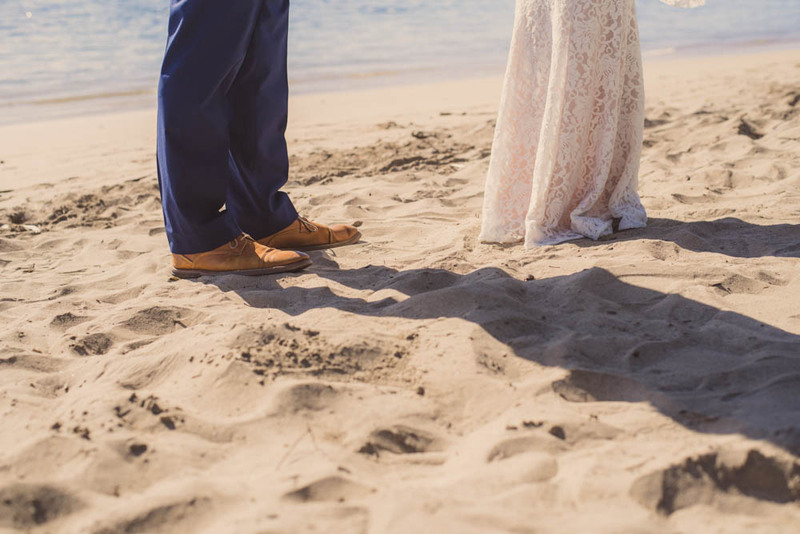 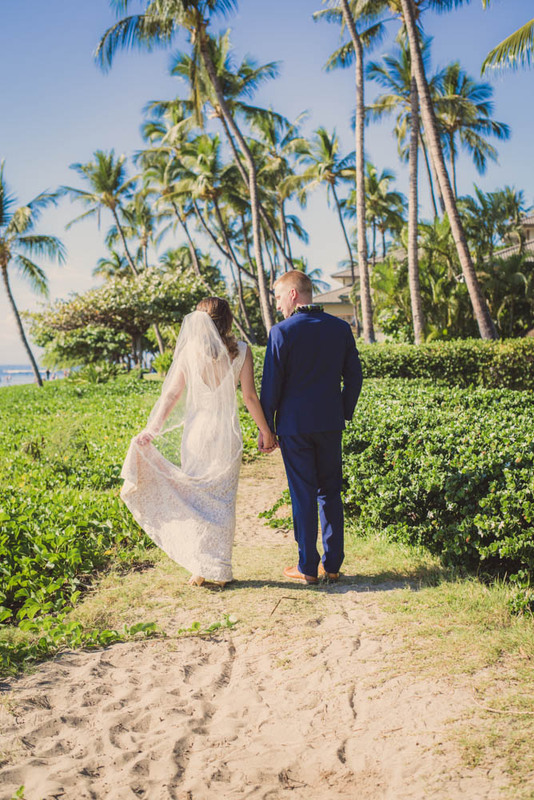 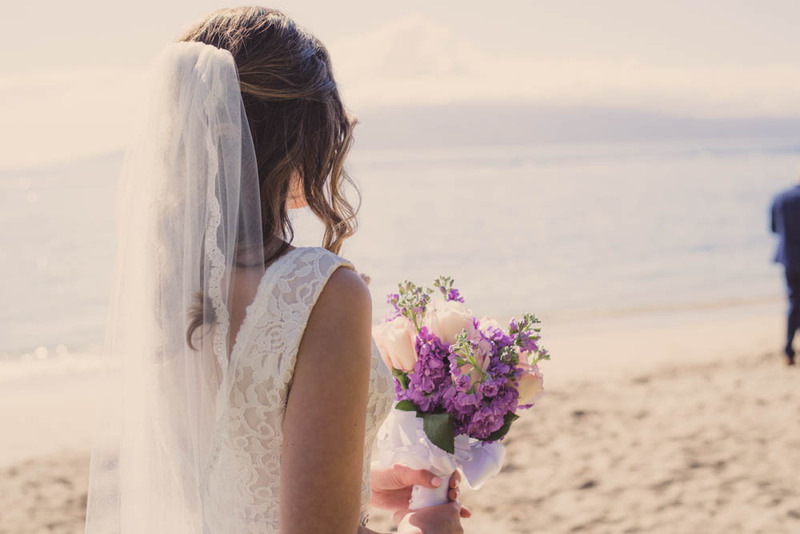 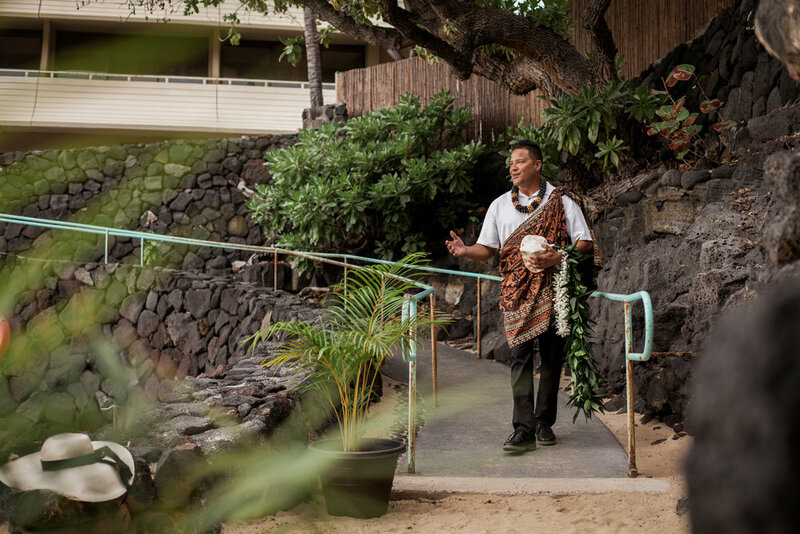 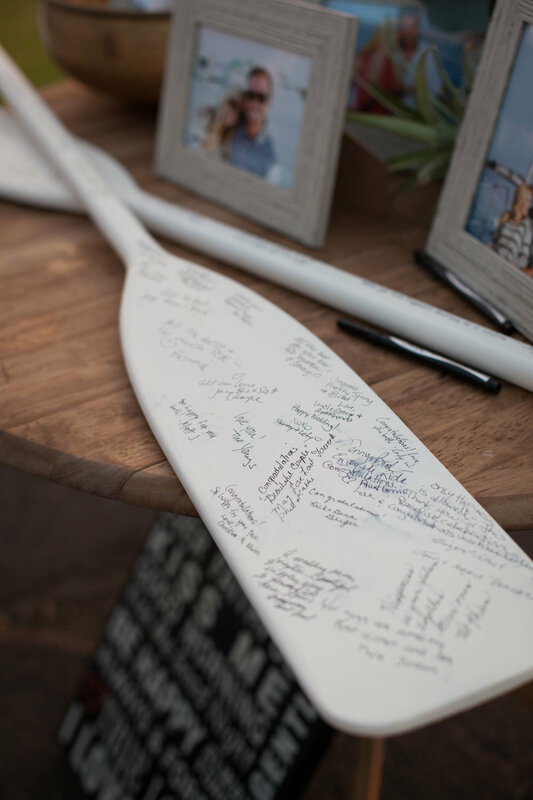 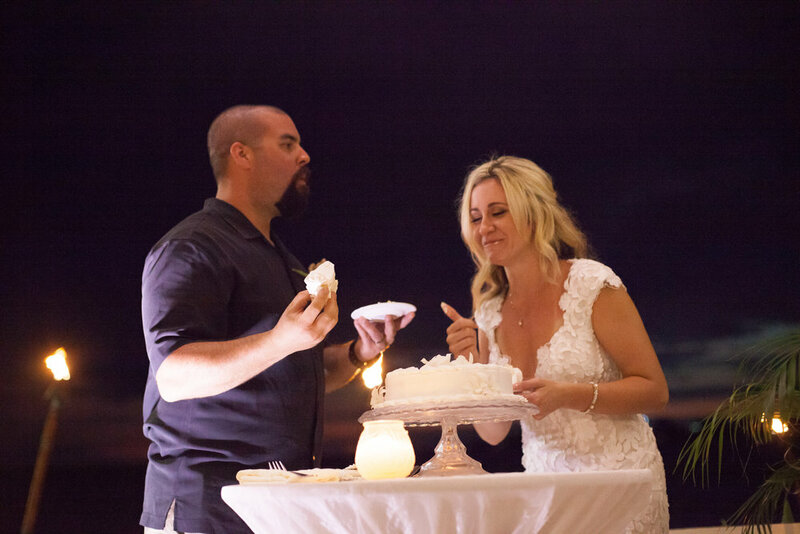 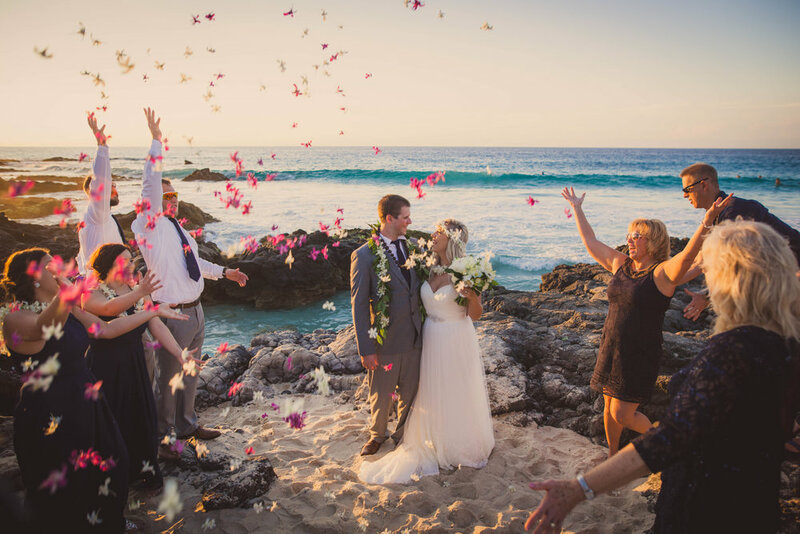 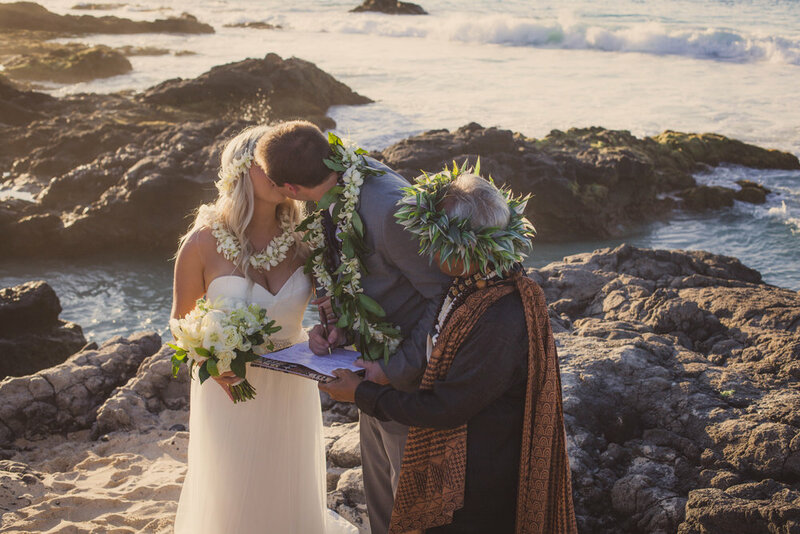 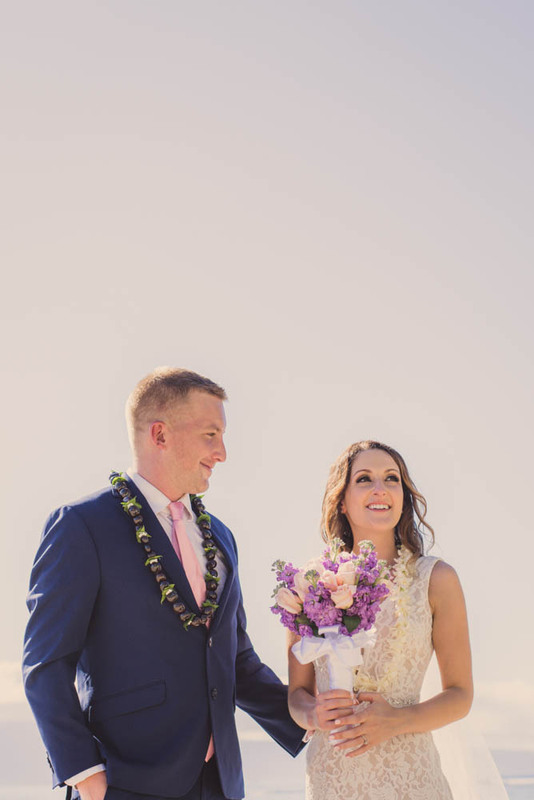 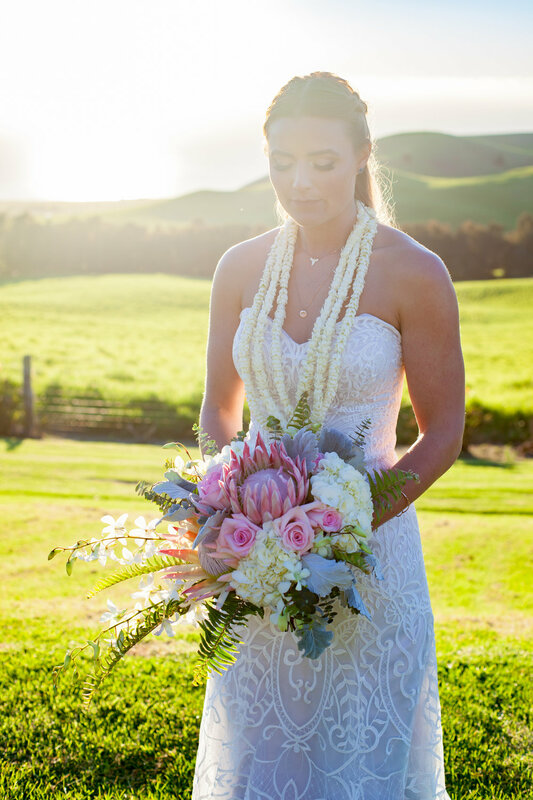 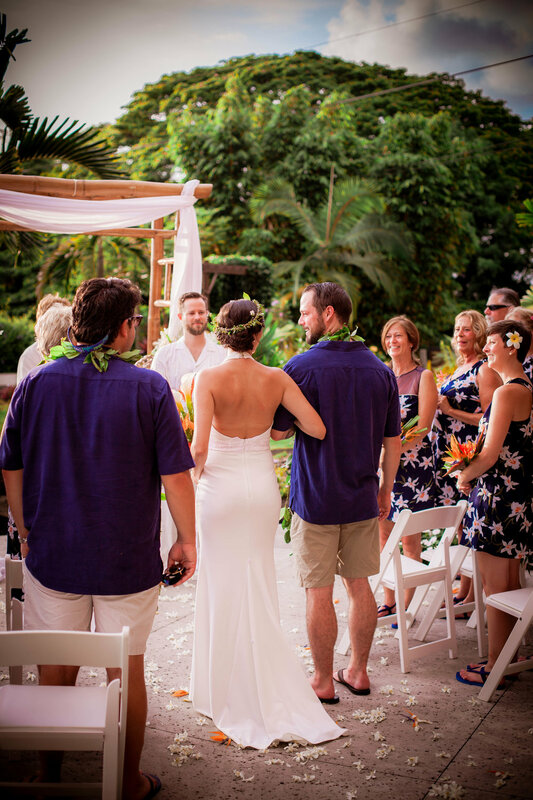 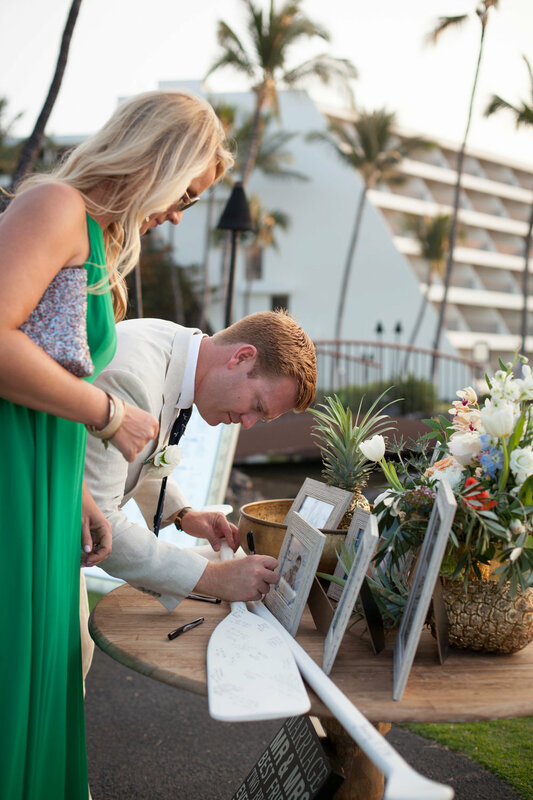 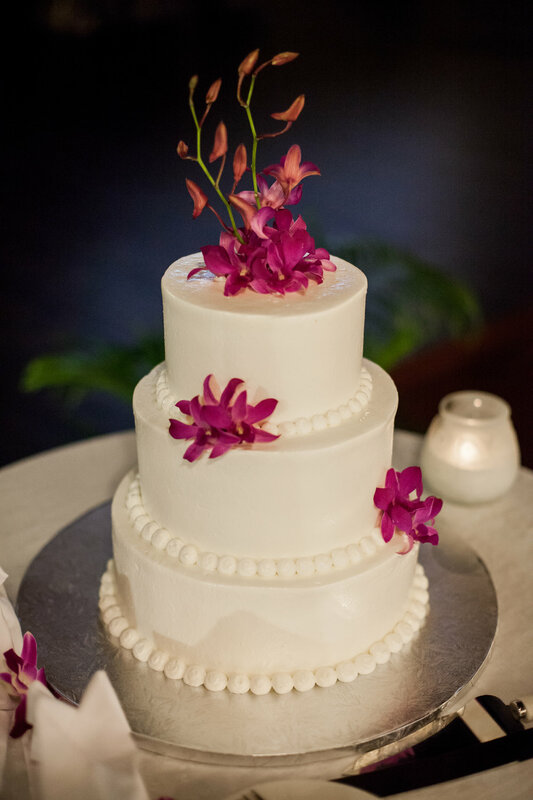 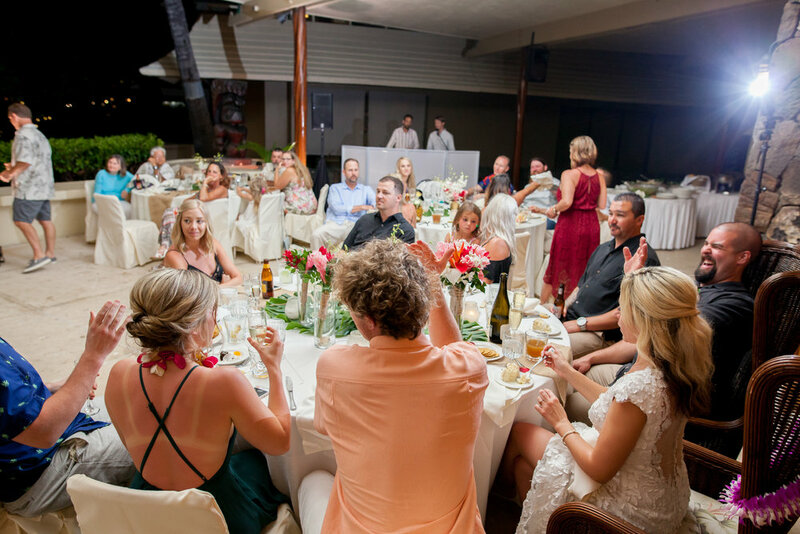 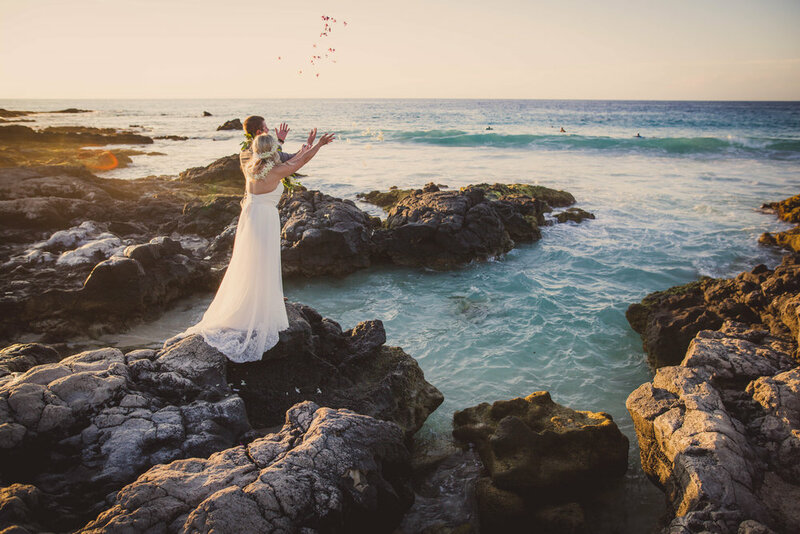 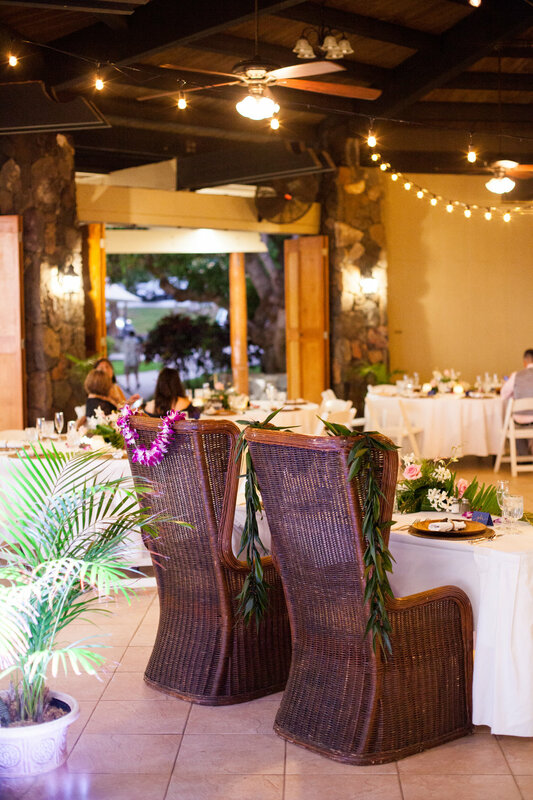 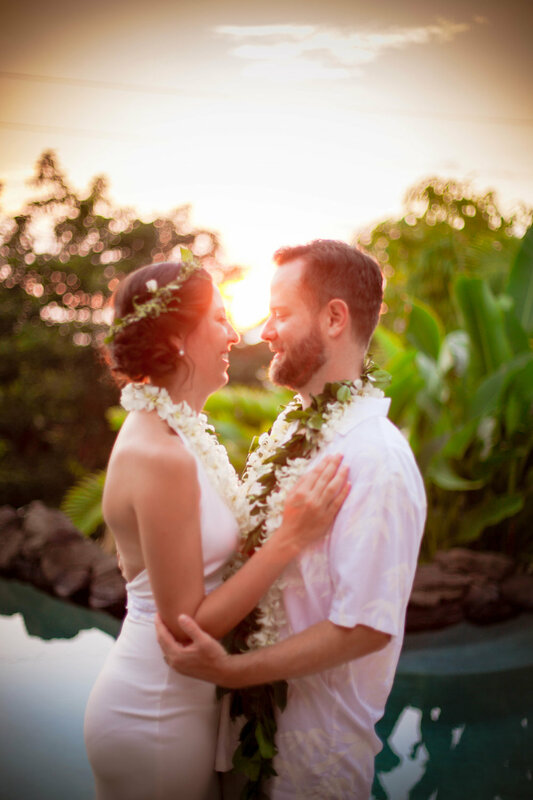 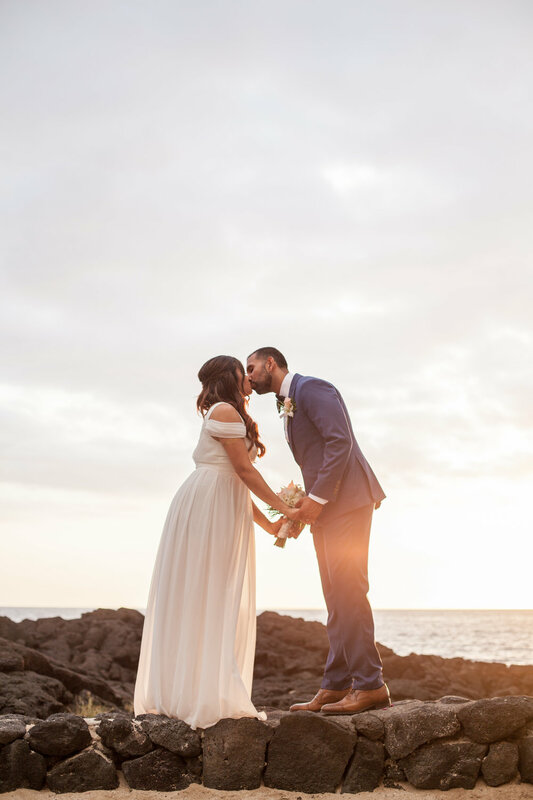 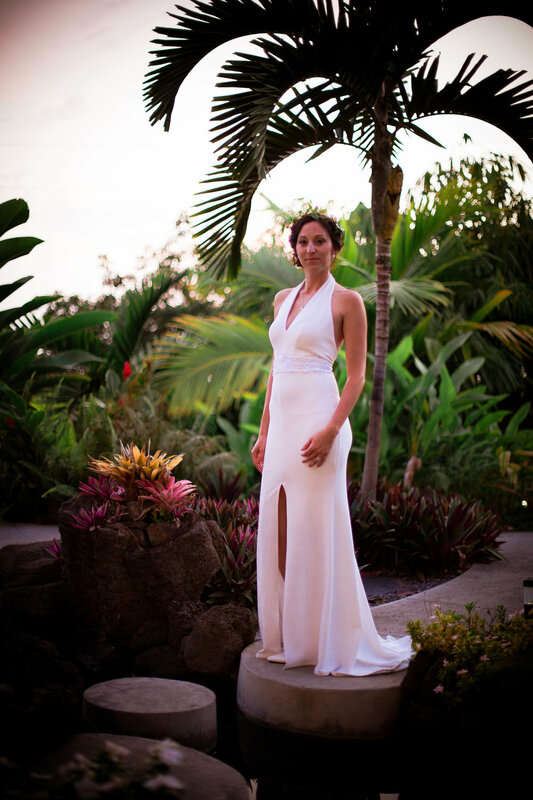 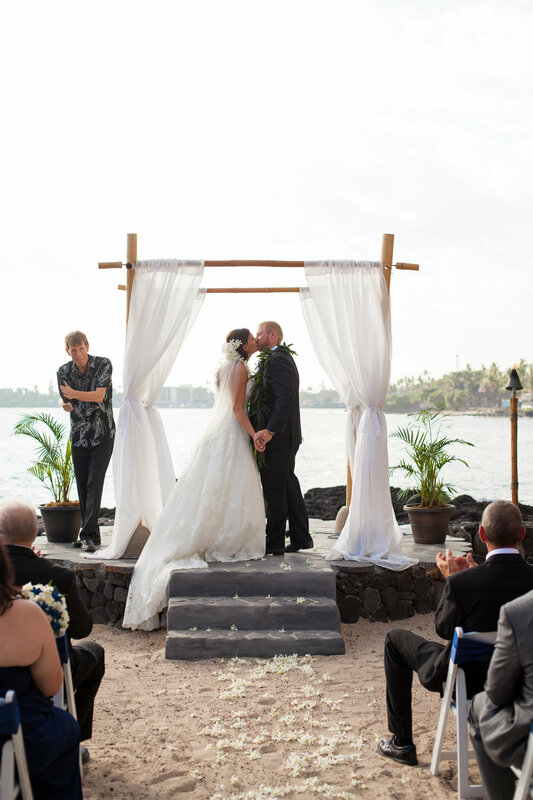 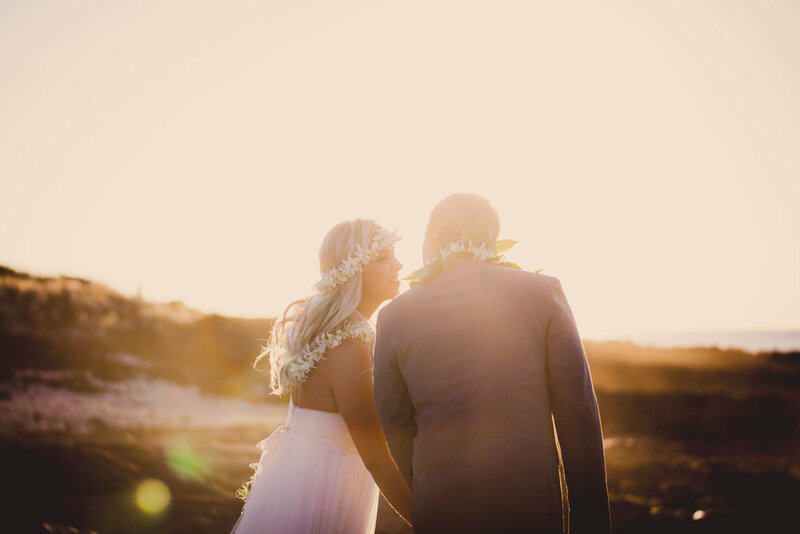 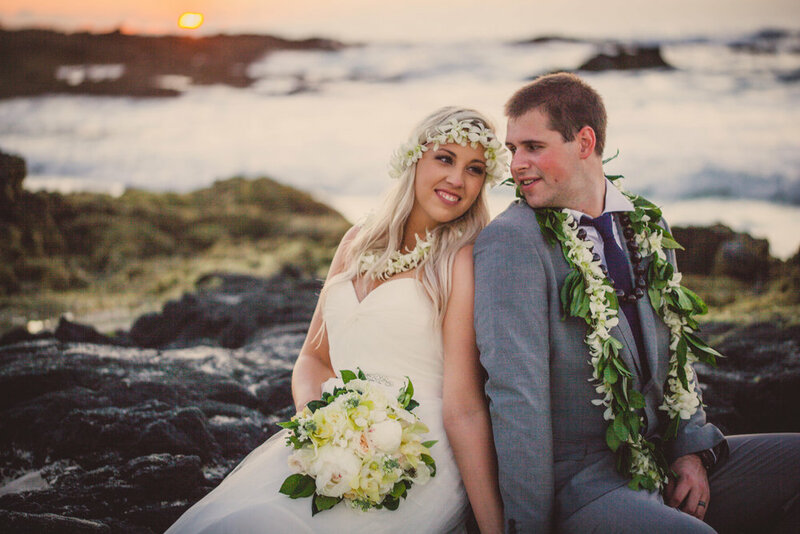 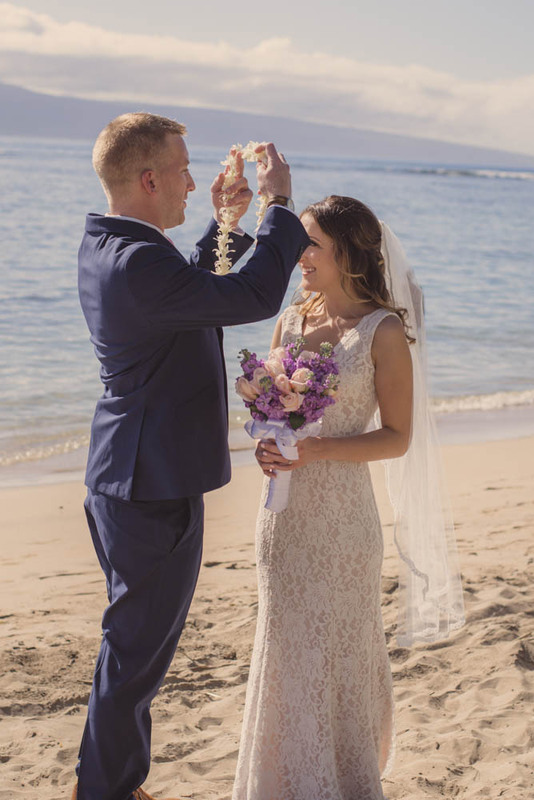 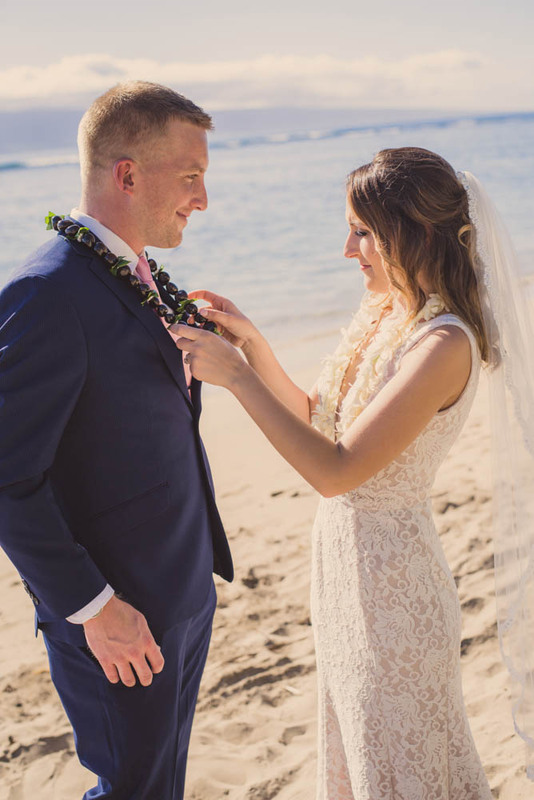 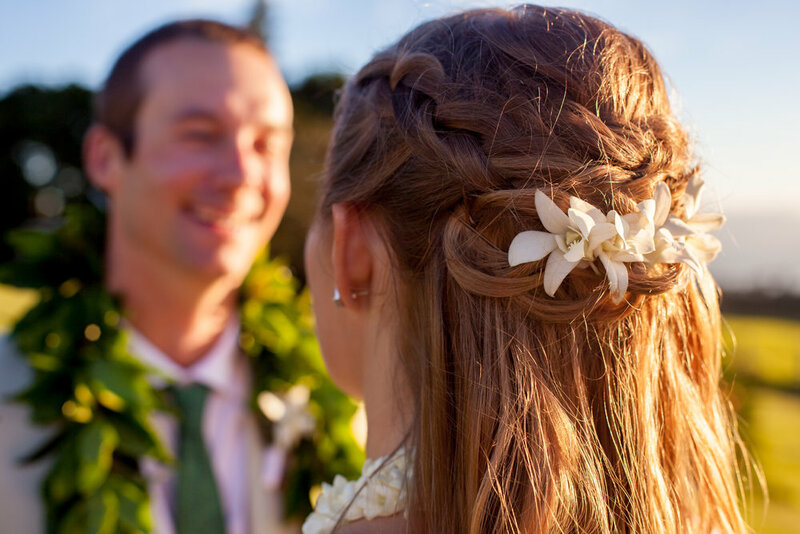 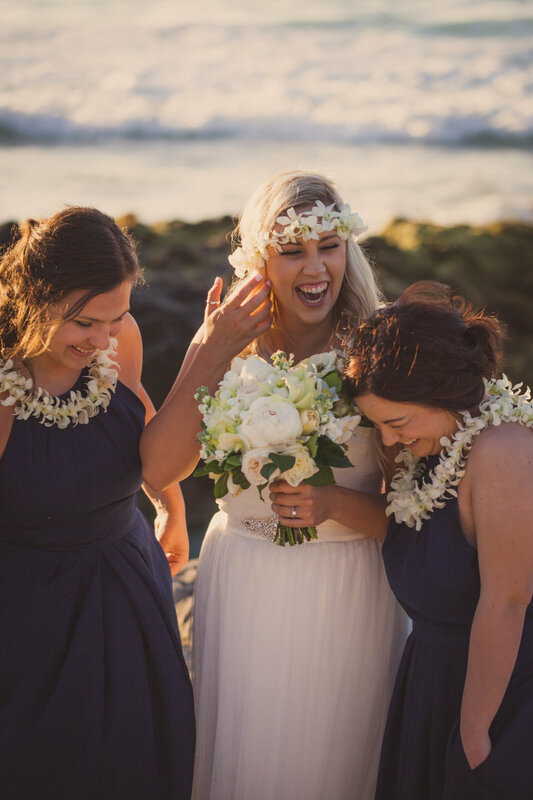 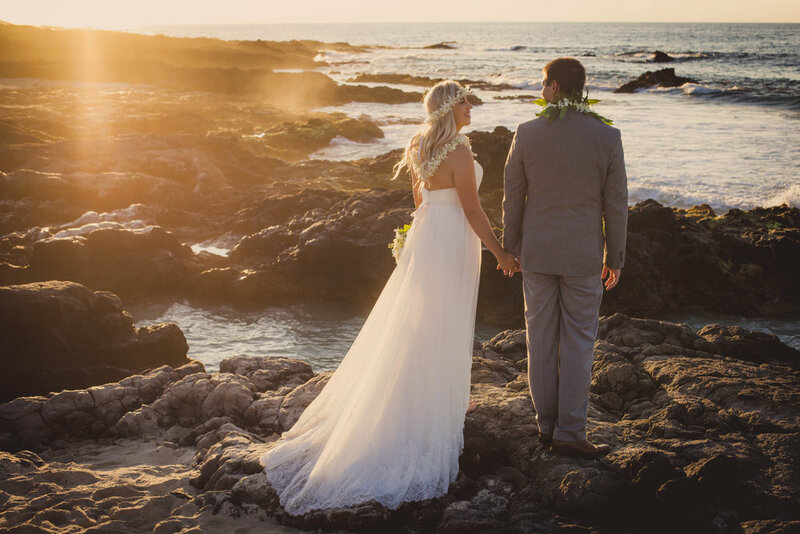 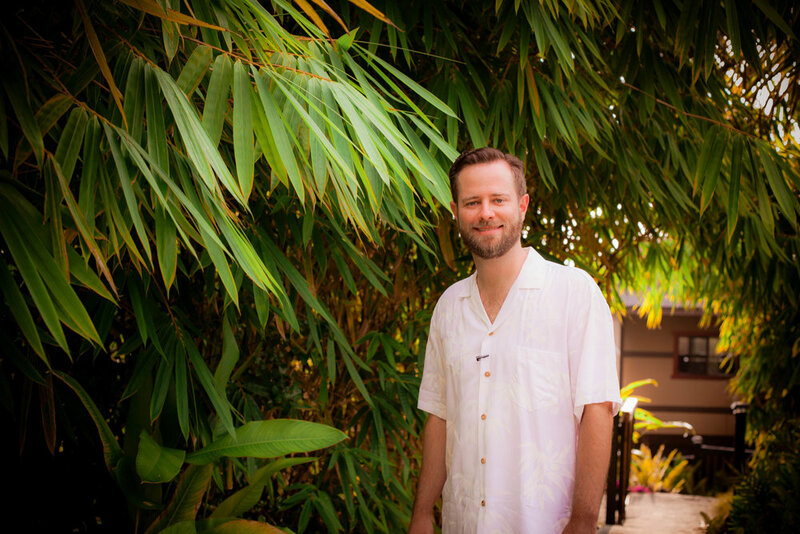 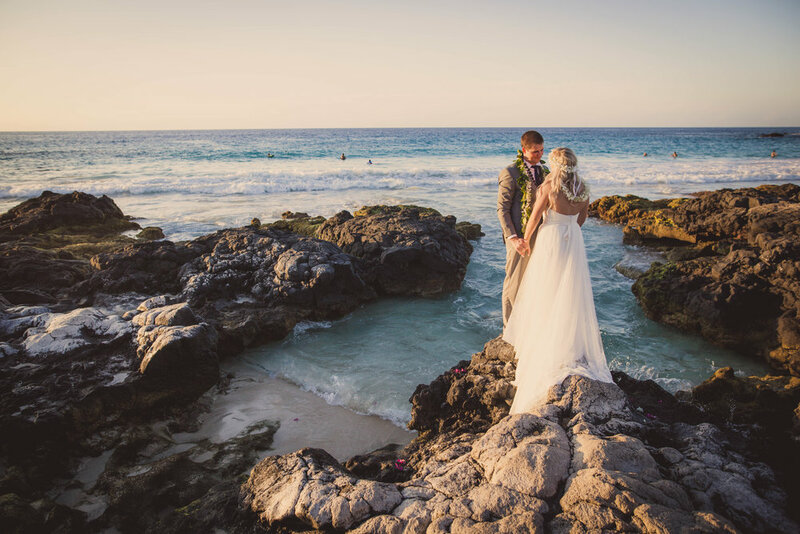 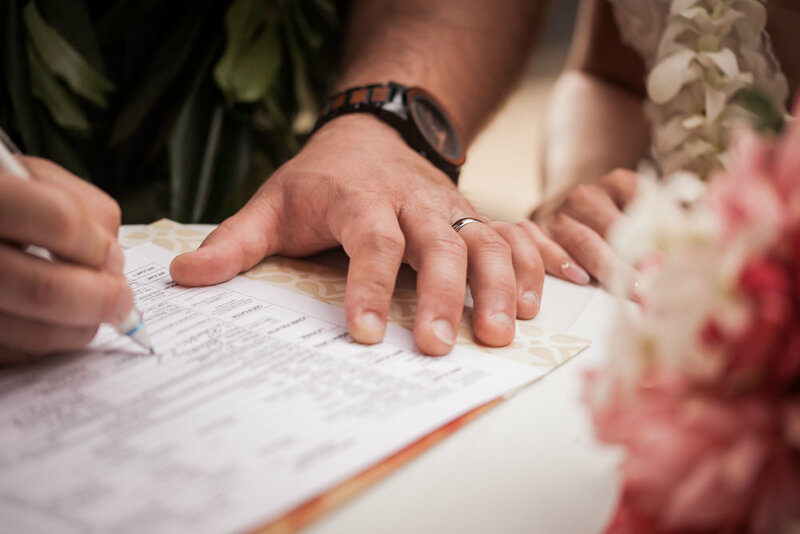 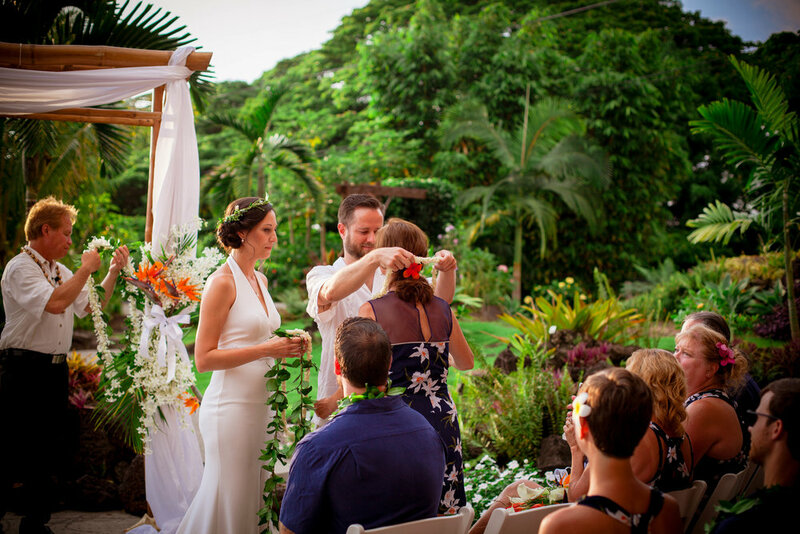 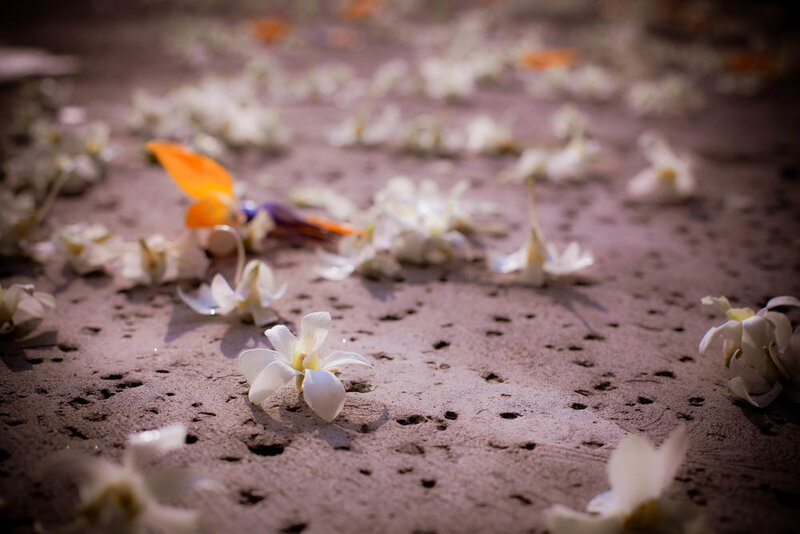 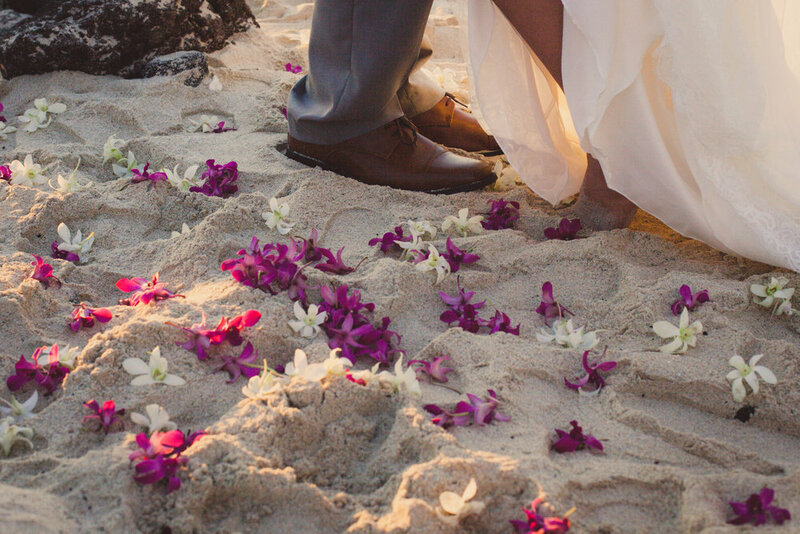 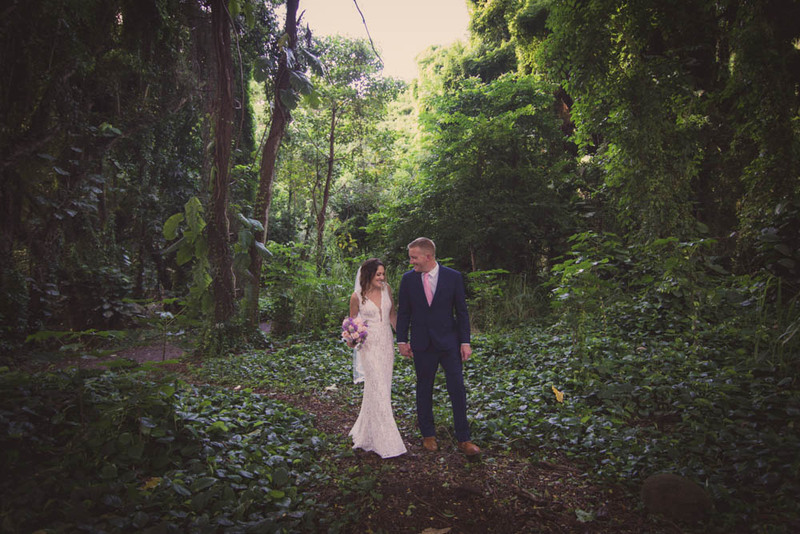 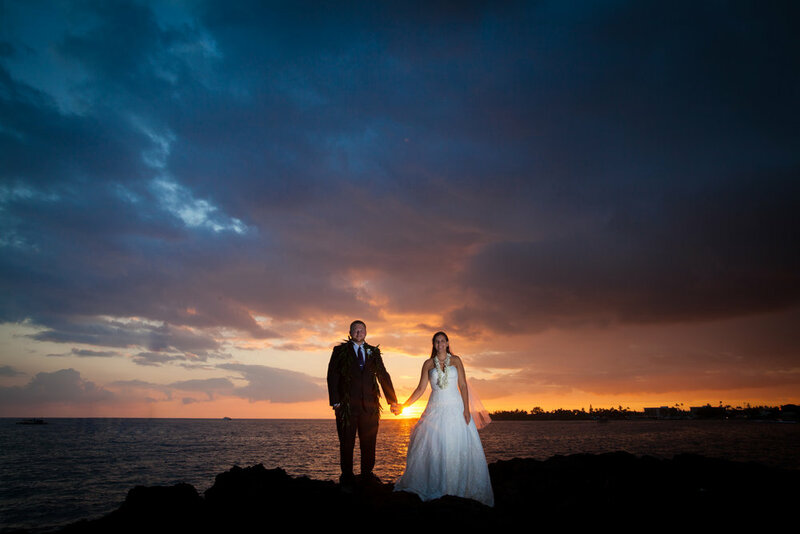 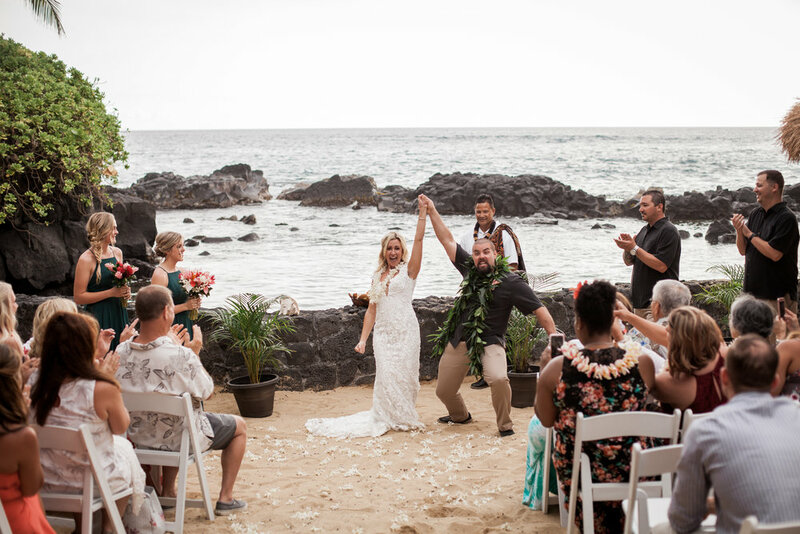 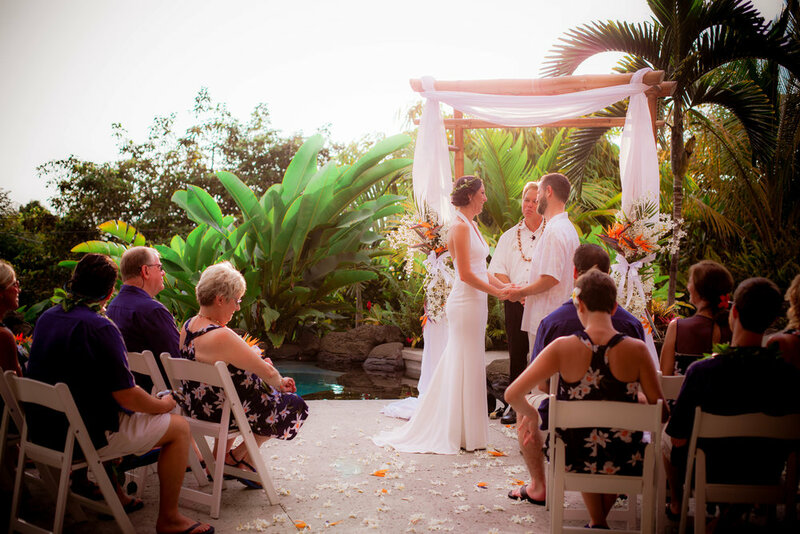 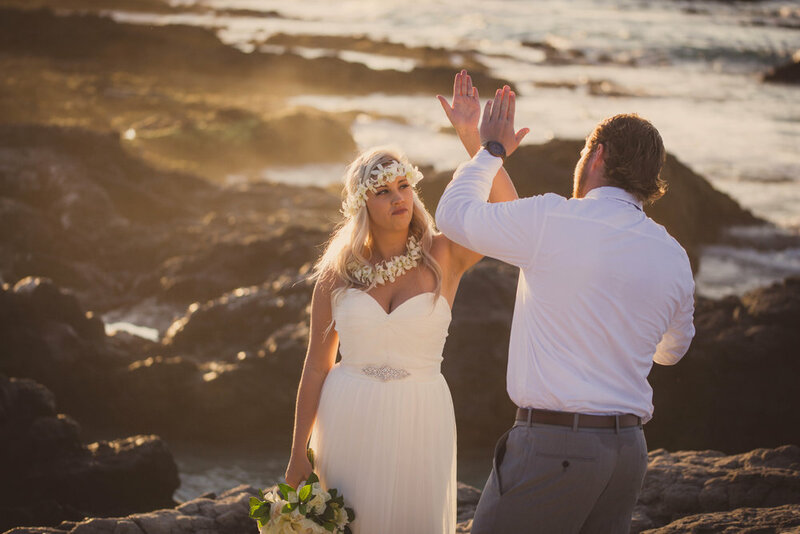 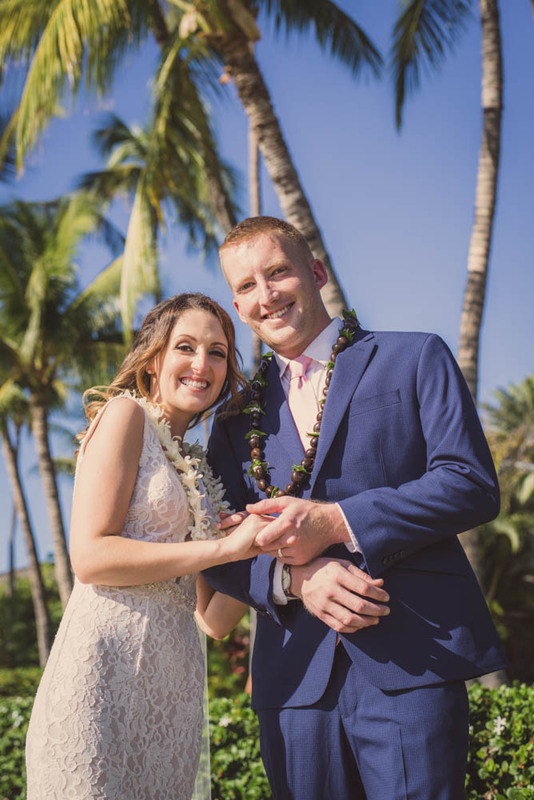 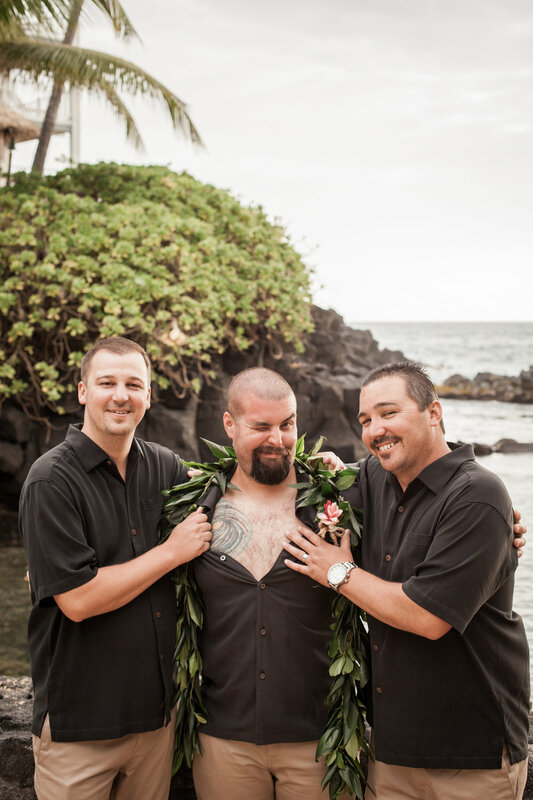 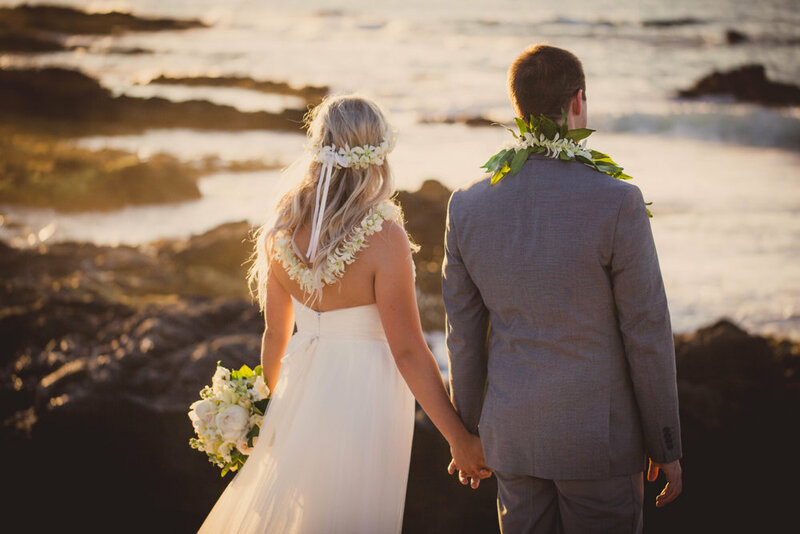 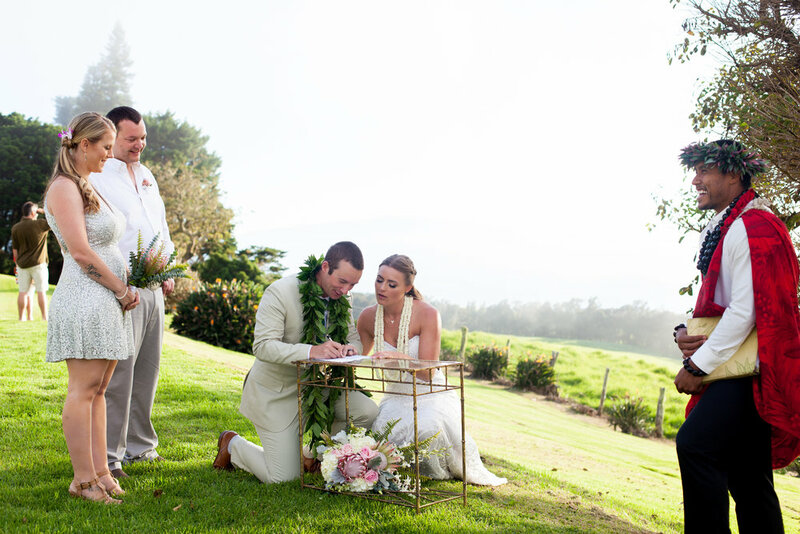 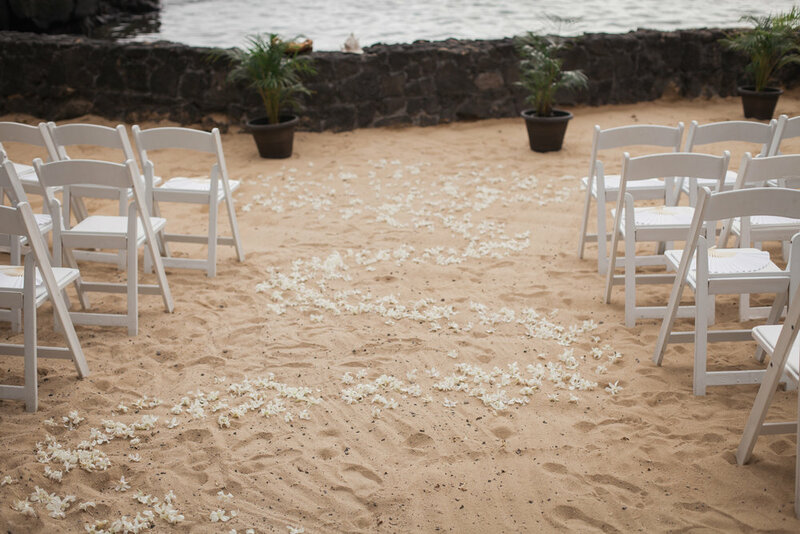 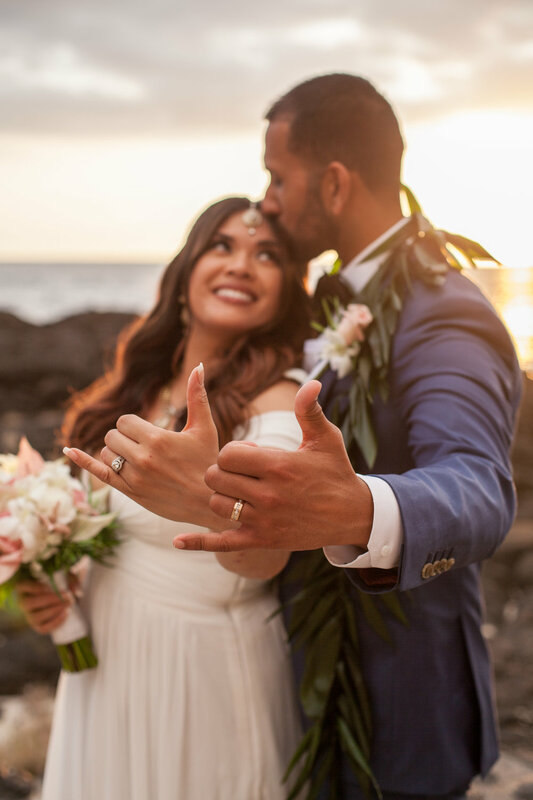 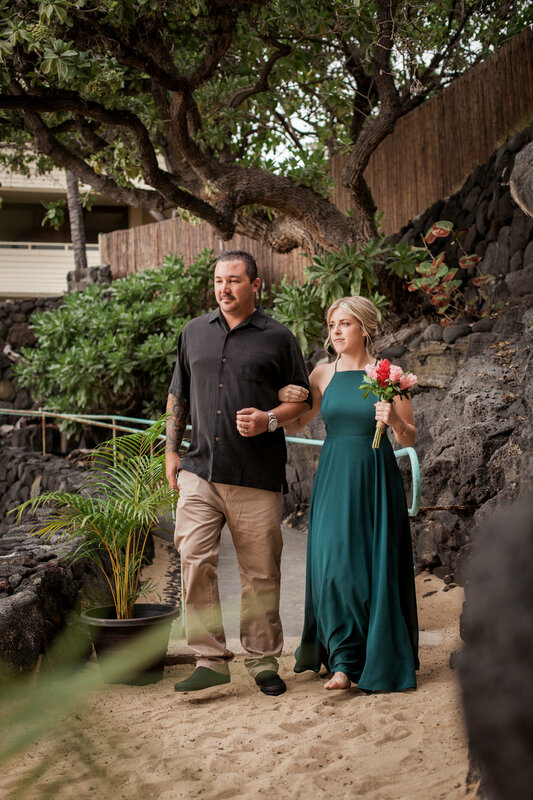 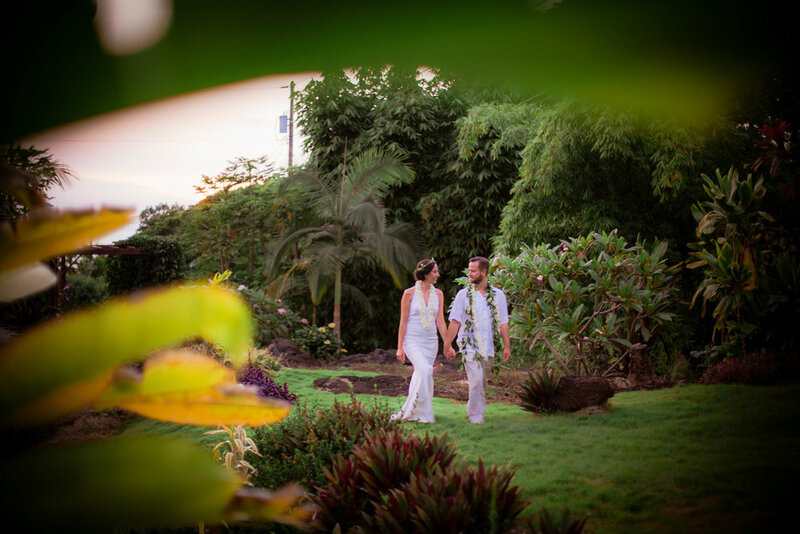 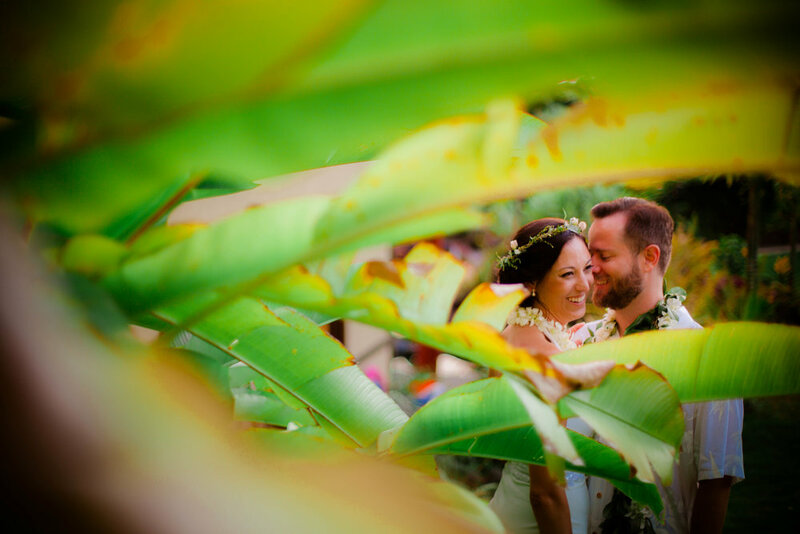 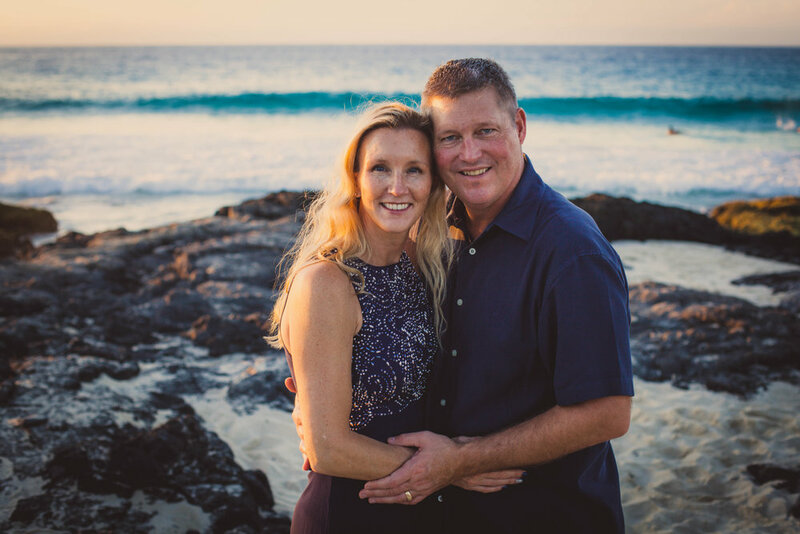 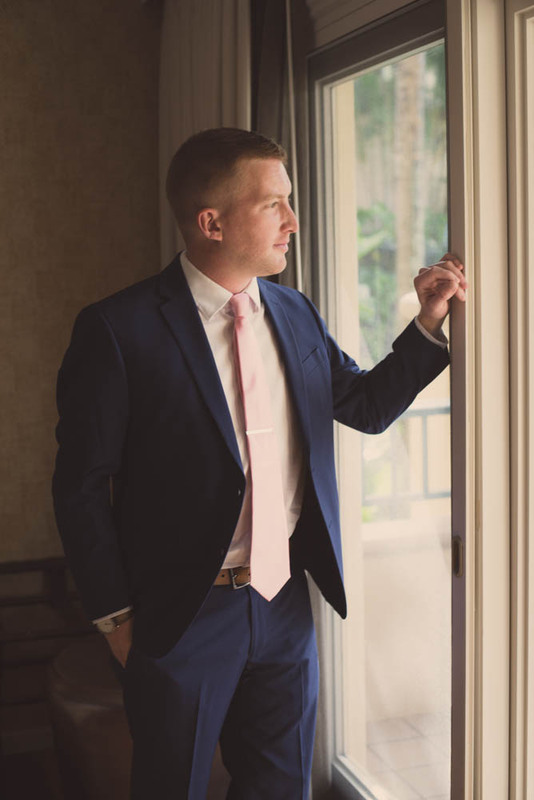 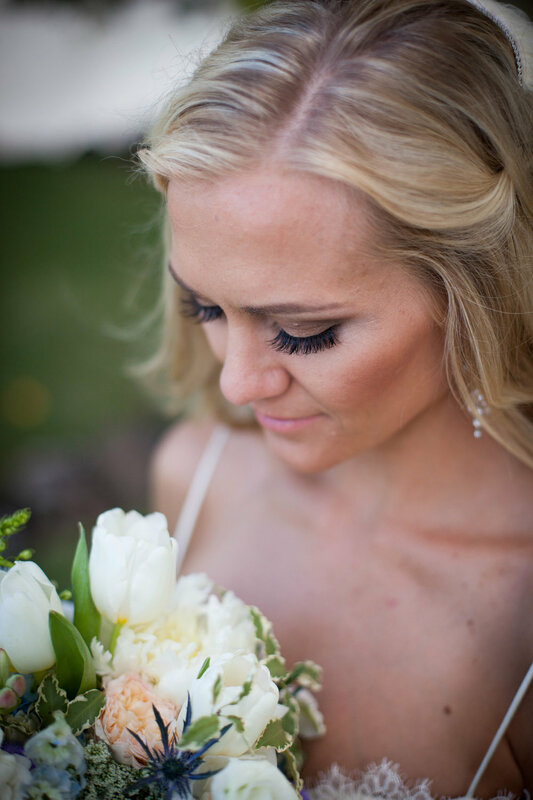 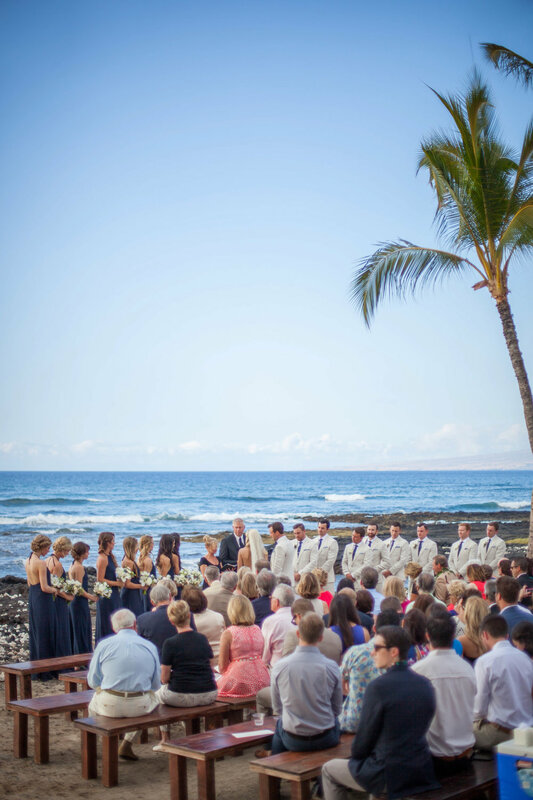 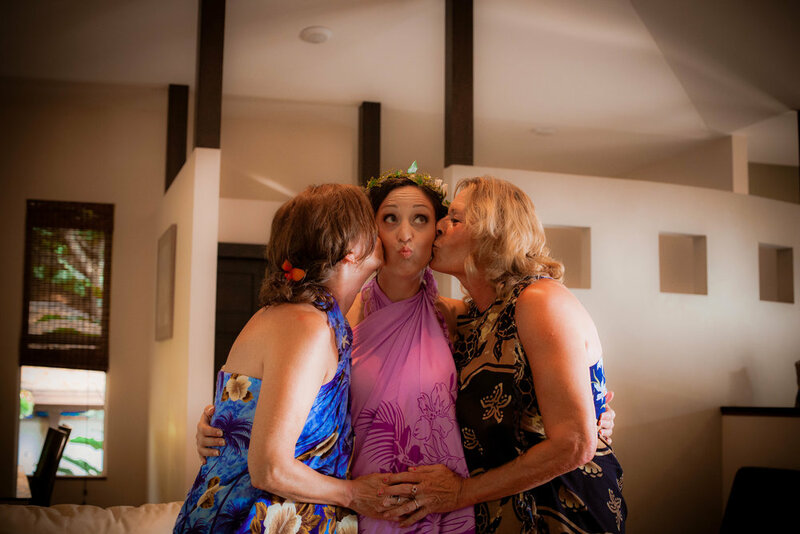 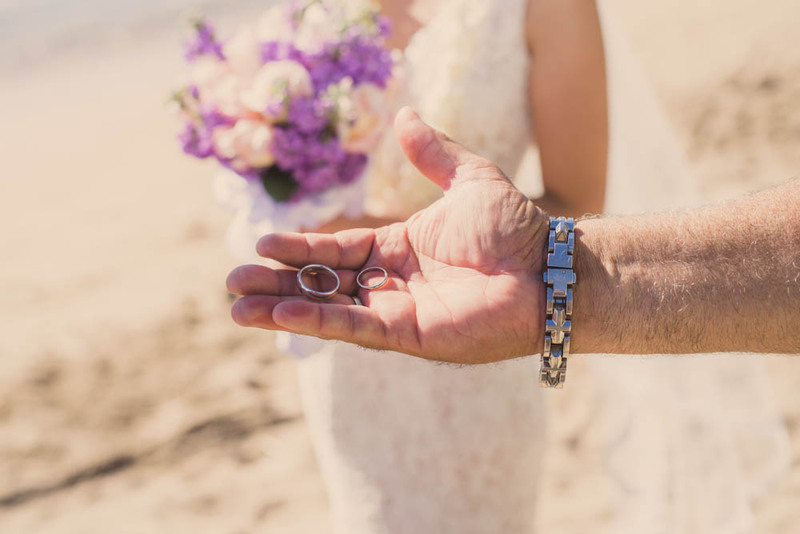 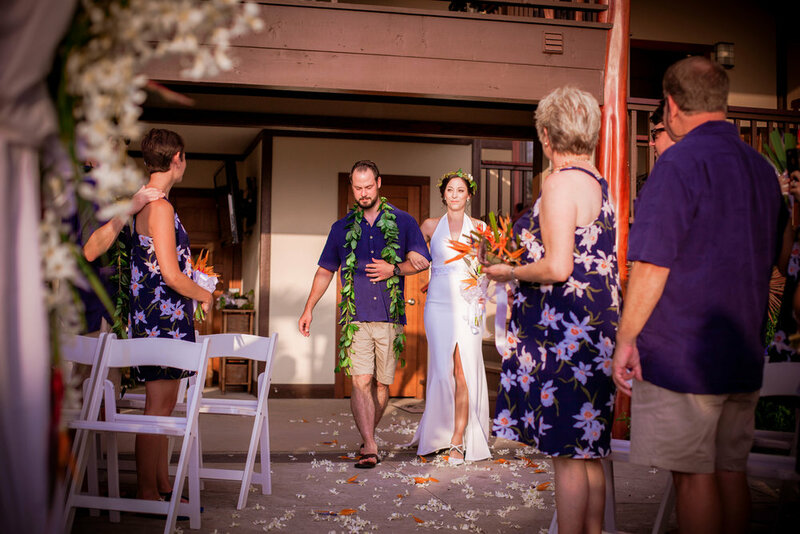 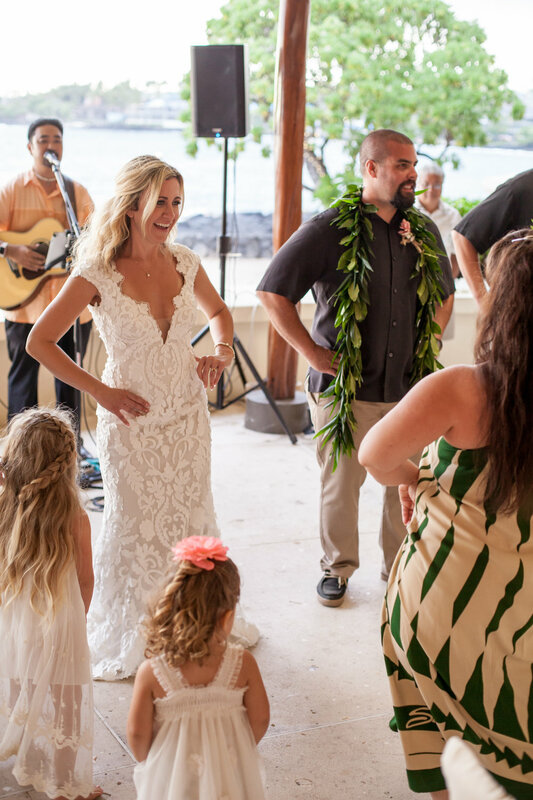 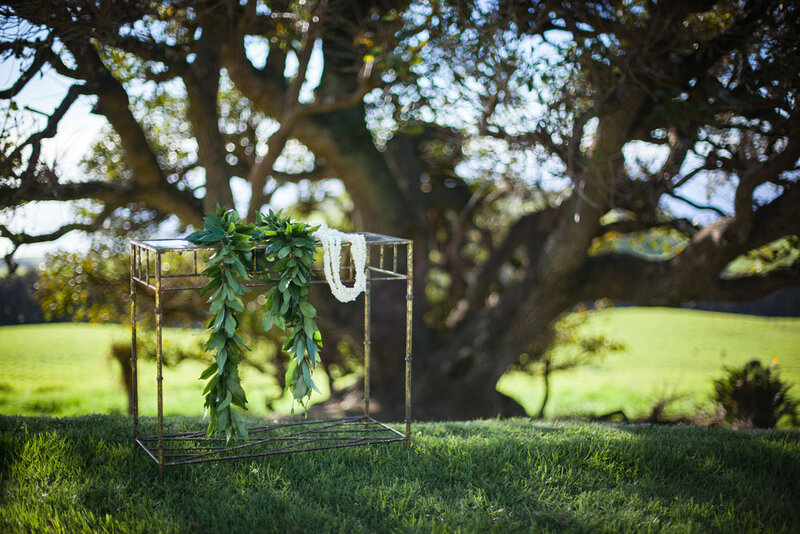 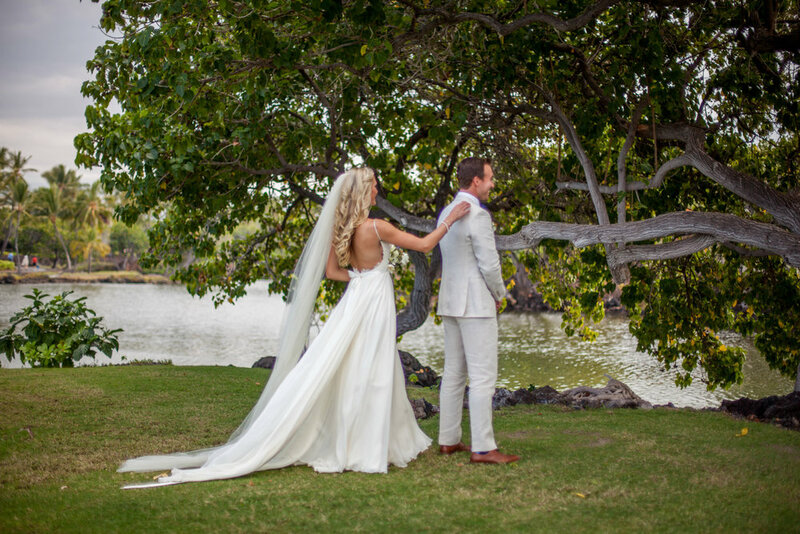 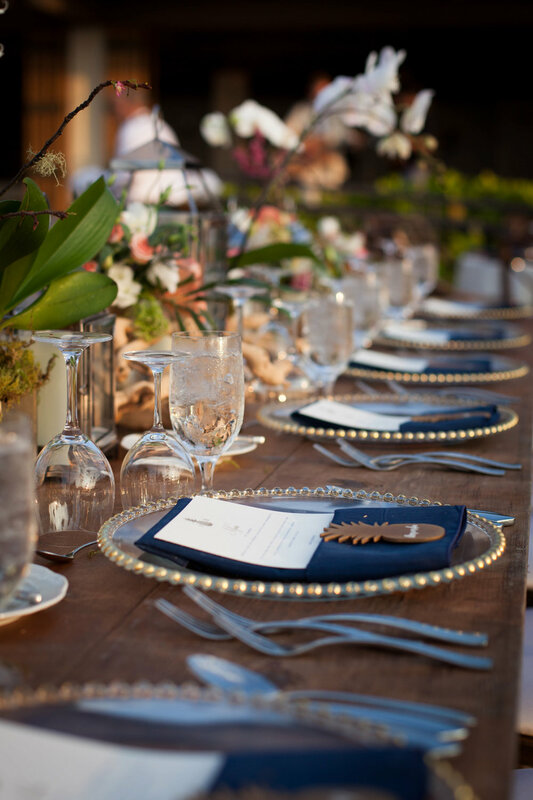 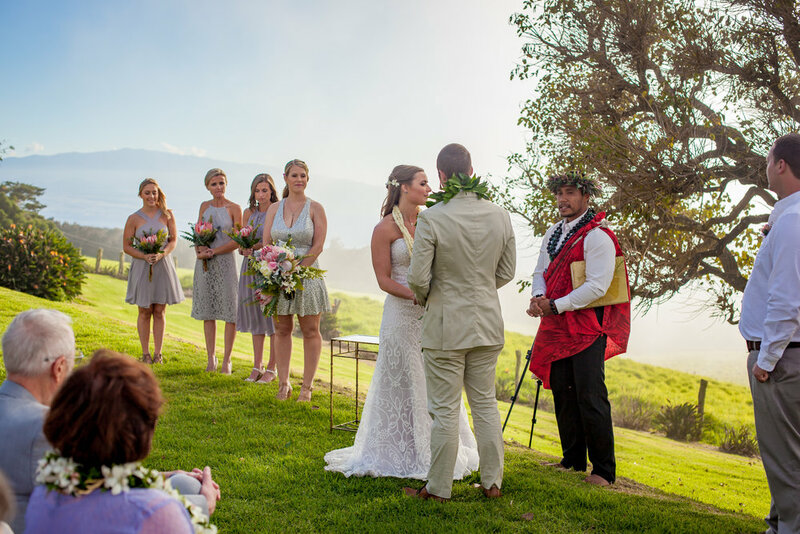 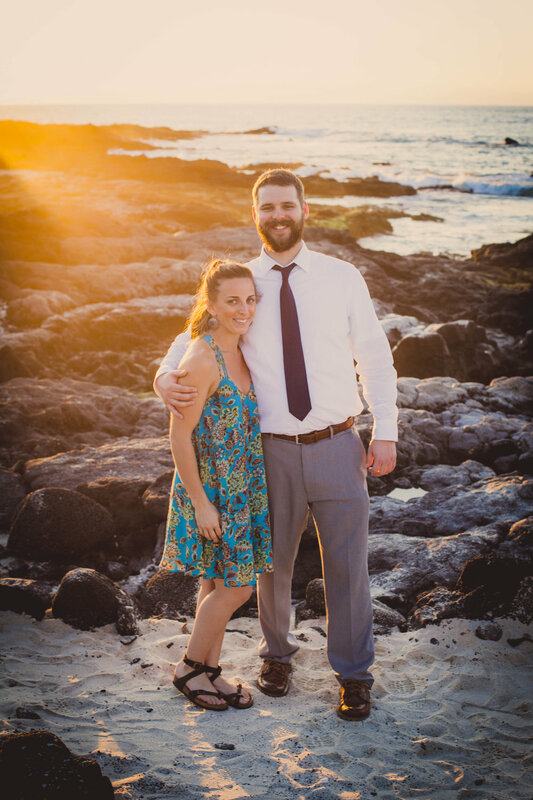 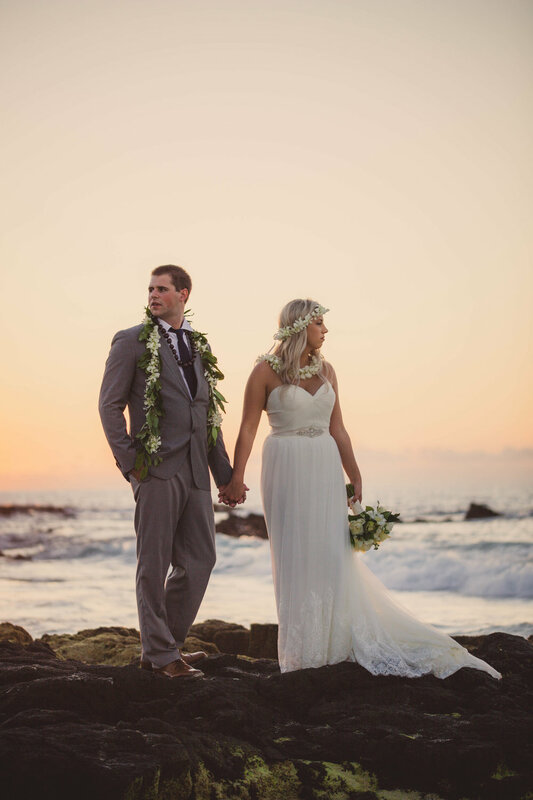 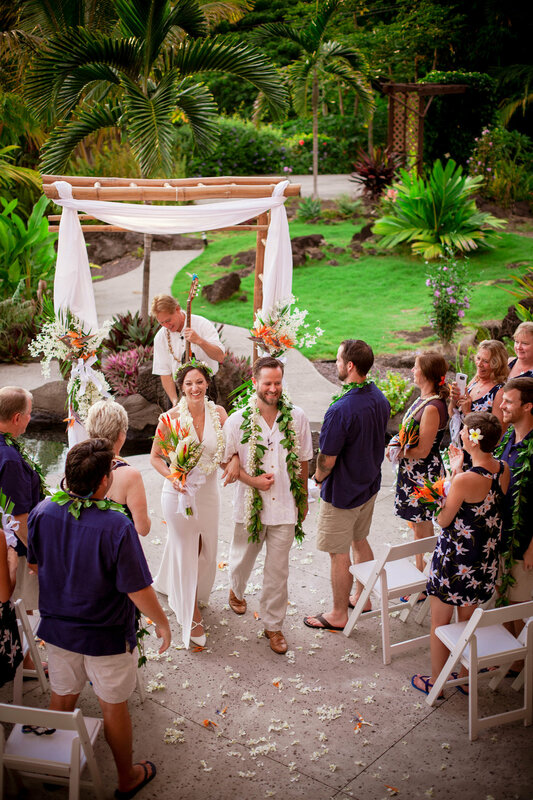 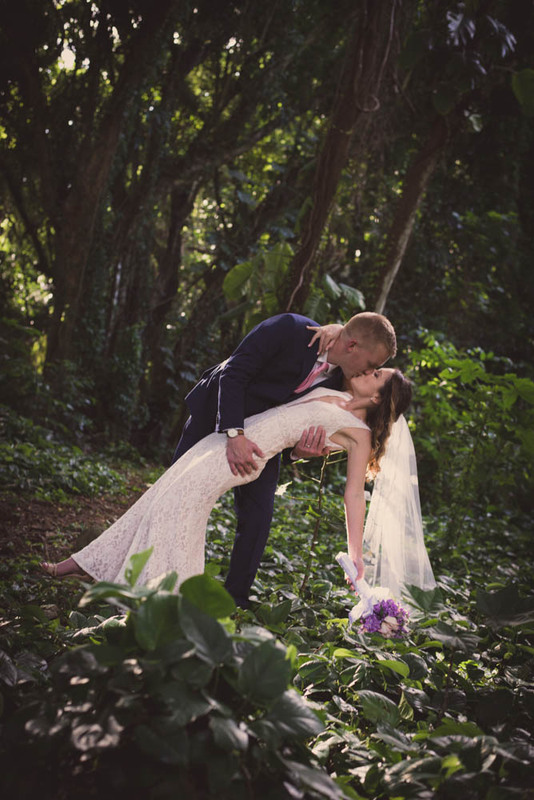 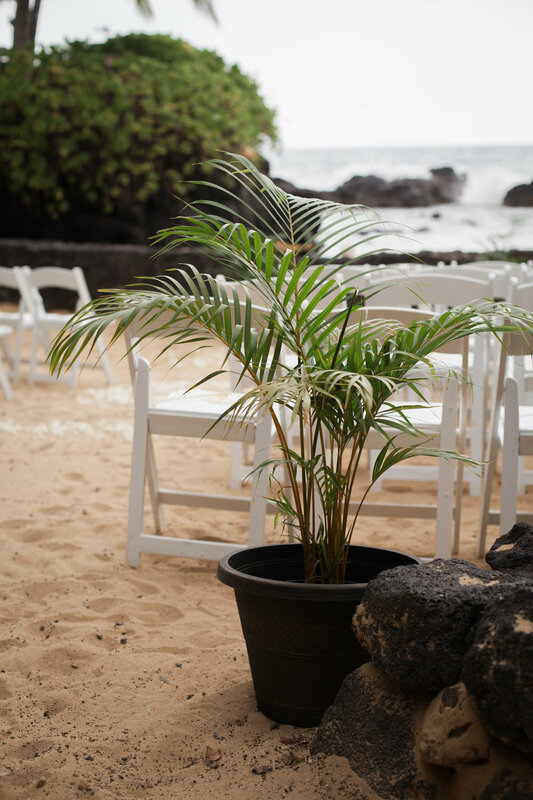 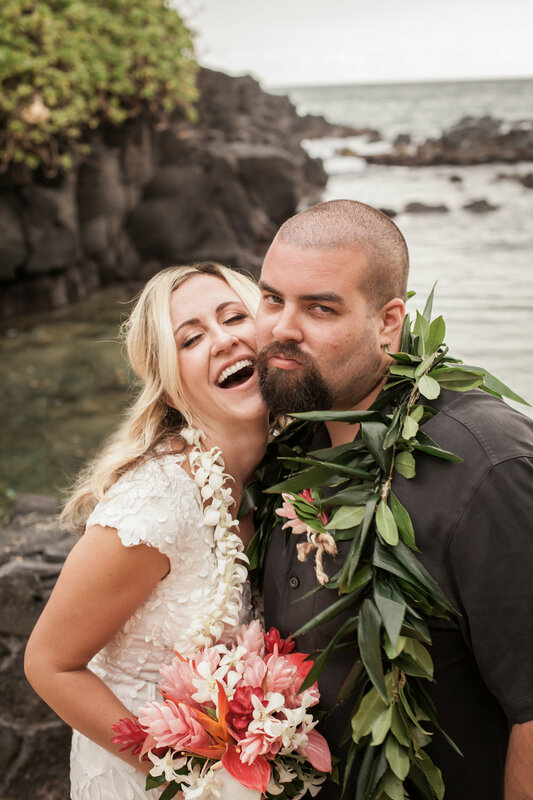 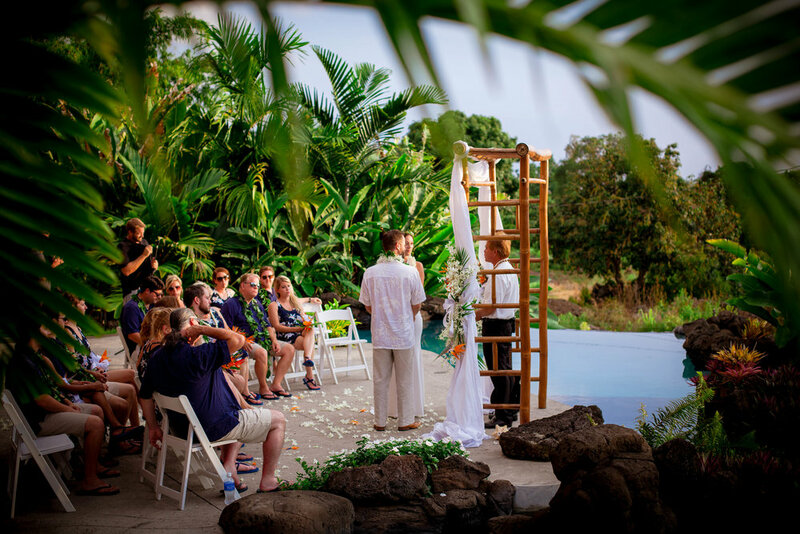 Thanks to coordinators Stasha at the Mauna Lani Bay Hotel and Bungalows and Rachael with Vintage & Lace Wedding Specialists, stylists Mara + team with maramcmichael.com, florist Alison with Grace Flowers Hawaii and DJ Rodney, all for helping create a perfect day for Jenny + Brad!